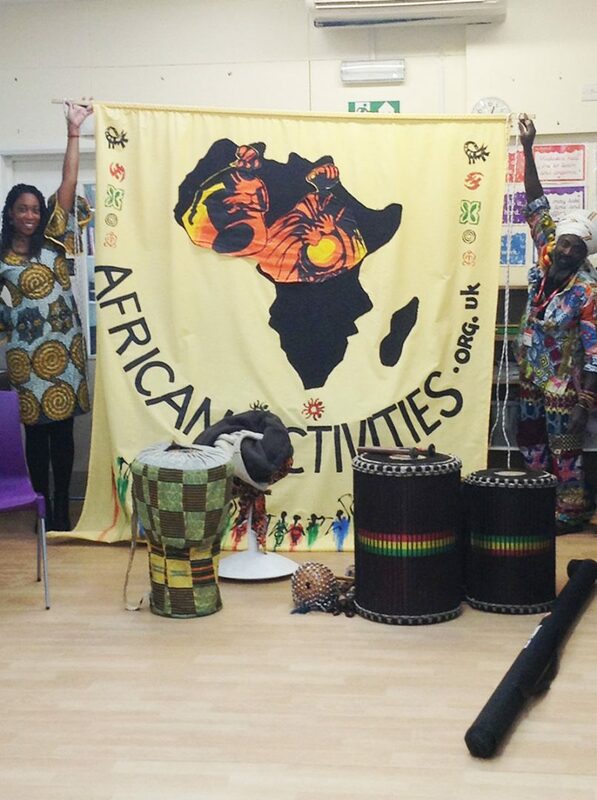 Last Friday our year 2 students took part in an African Workshop transition event and enjoyed a fun packed day creating beautiful Adinkra material printing, African tribal masks, drumming, dancing and exploring the stories of Anansi the Spider through creative storytelling. The children were eager to ask the practitioner, Kwame a range of fantastic questions about his culture and his home country of Ghana. Yesterday our taste buds traveled all the way to Mexico for lunch! 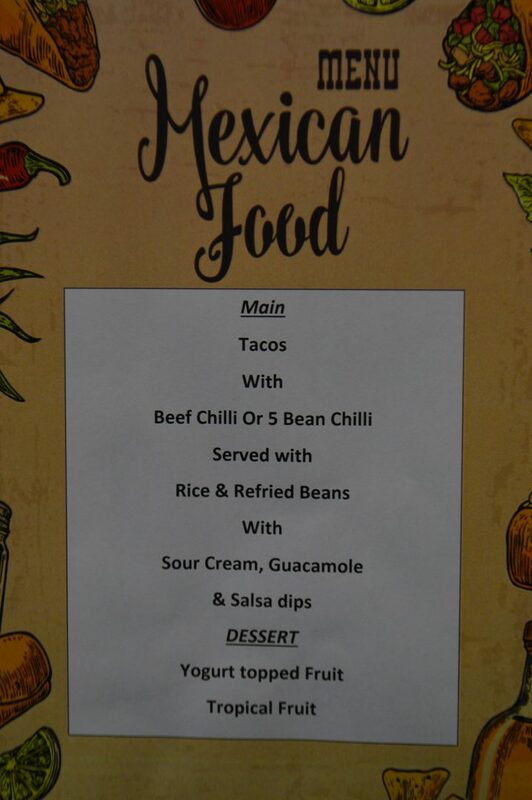 A huge thank you to our caterers Thomas Franks for the delicious 'taste of Mexican cuisine' themed lunch. 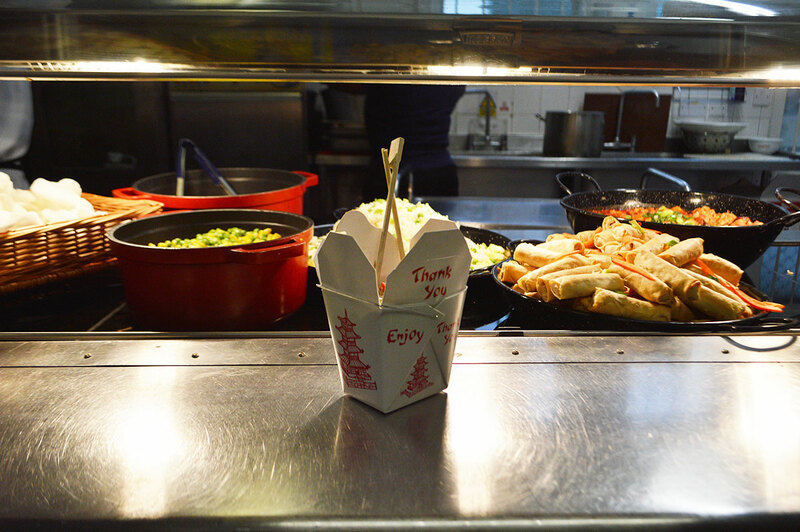 The next themed lunch will be celebrating the Chinese New Year on Tuesday the 5th of February. This week we entered 4 teams for the Enfield Borough Gymnastics Festival. All the children were fantastic, with Salcombe coming 2nd (Rory) and 1st (Sienna) in the individual competition. 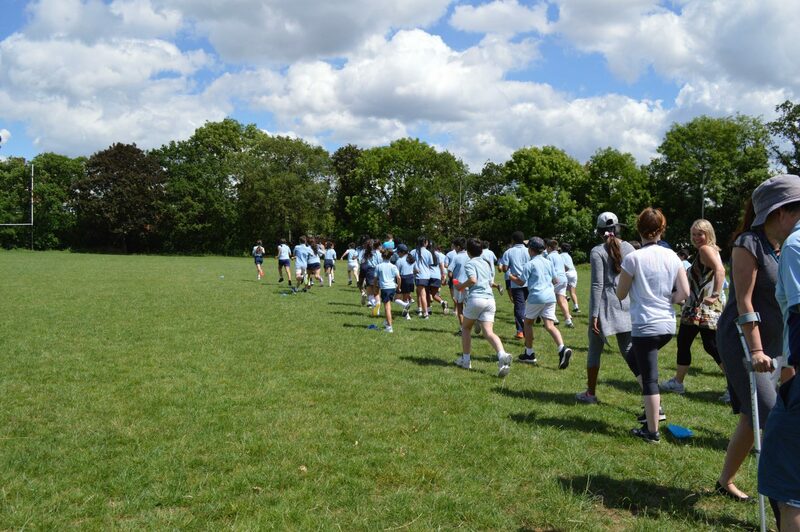 We are so proud of everyone who took part! 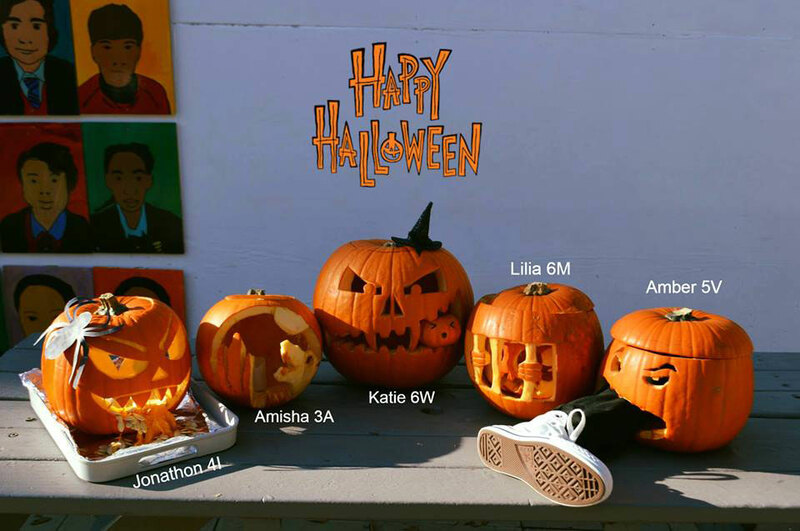 Well done to everyone who entered the pumpkin carving competition run by Mrs Harding!! 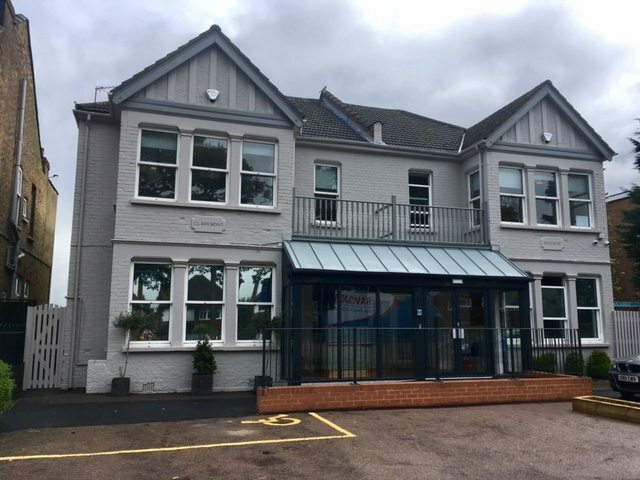 Over the summer holidays we have made some big changes in both Prep and Pre-Prep, including our newly landscaped front garden at our prep site, complete with beautiful flowers, benches and a front gate! 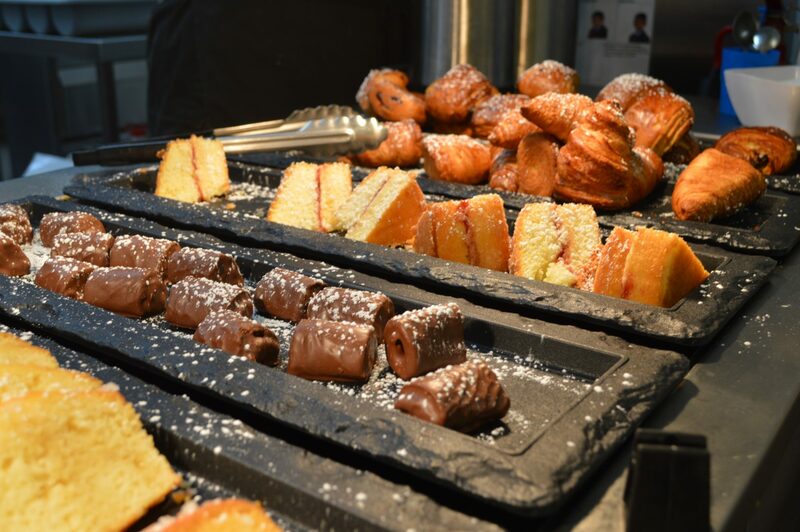 This week Salcombe held a new event organised by our catering team, Thomas Franks. The children worked together to produce a Ritz dining experience for their parents in the grounds of the Prep and a lovely meal was enjoyed by all. Well done Year 6 and thank you Thomas Franks. Well done to Deakin House who won the Prep Sports Day with a total of 3992. And well done to both Rosedene and Claremont for their respective scores of 3481 and 3204. Year 6 are very excited to practice their french when they go on their trip to Le Chateau du Broutel on Monday! 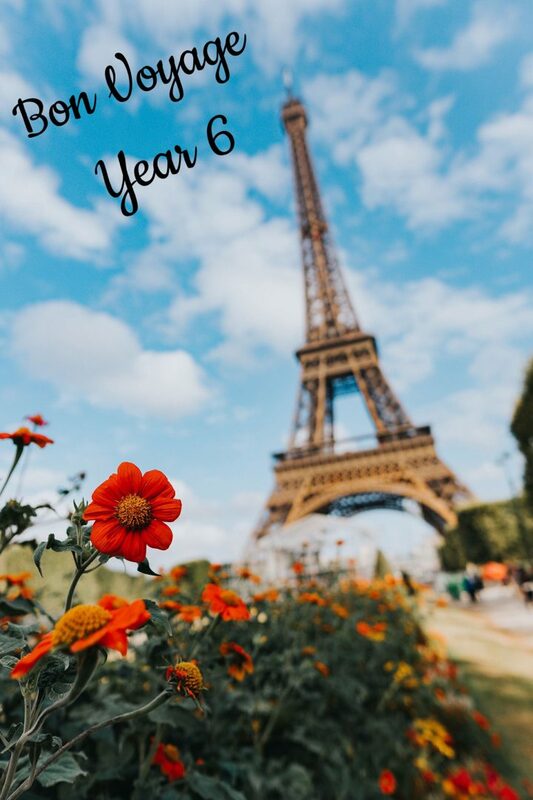 From everyone here at Salcombe, Au revoir and bon voyage Year 6! 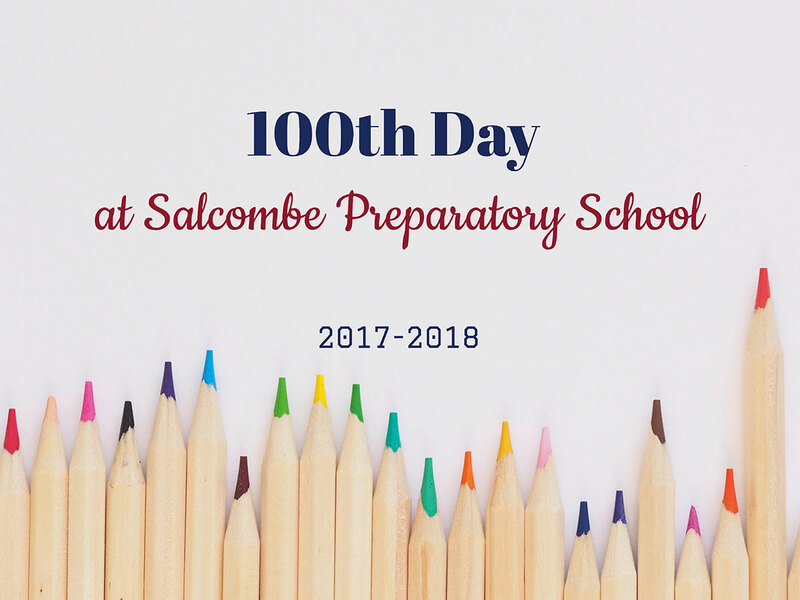 Salcombe will be celebrating the 100th day in school on Wednesday – the theme this year is Reduce, Reuse, Recycle. 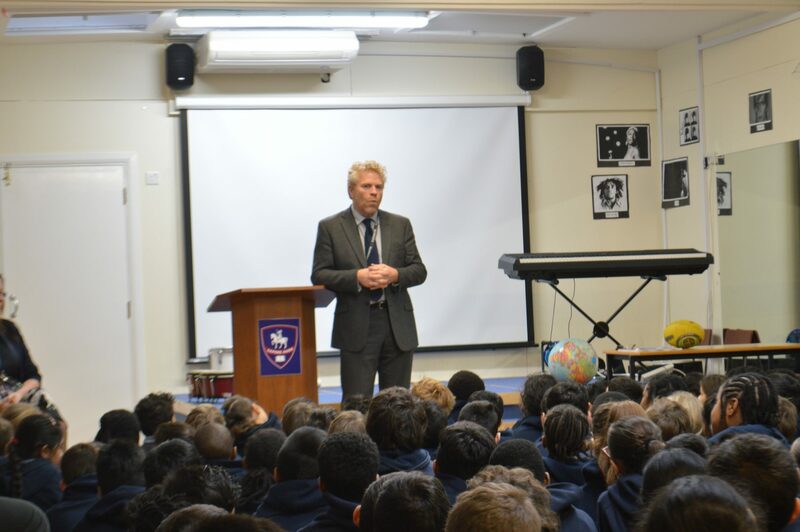 Last Wednesday, Mr Robin Davies our Assistant Director of Education led an assembly at the Prep school on the three things that are most important to him; Academia, Character building and Global links. He then spent the day at the Pre-Prep seeing the impressive level of work that the children achieve from Preschool to Year 2. We were thrilled with his very positive feedback. 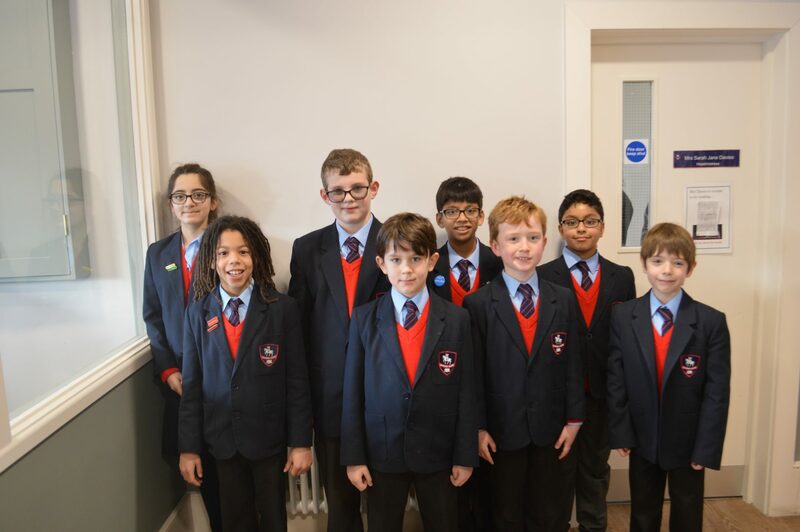 The first of our special Transition events for our current Year 2 pupils who will be making the move to the Prep school in September took place today. 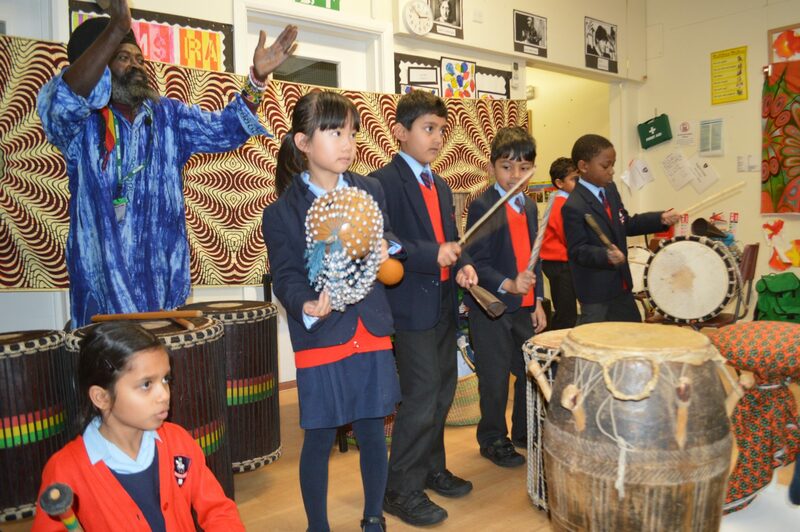 The children visited the ‘big school’ for their African Workshop and have enjoyed a fun packed day creating spectacular art work and amazing music. Well done Year 2 and thank you to the teachers for organising such a wonderful day. 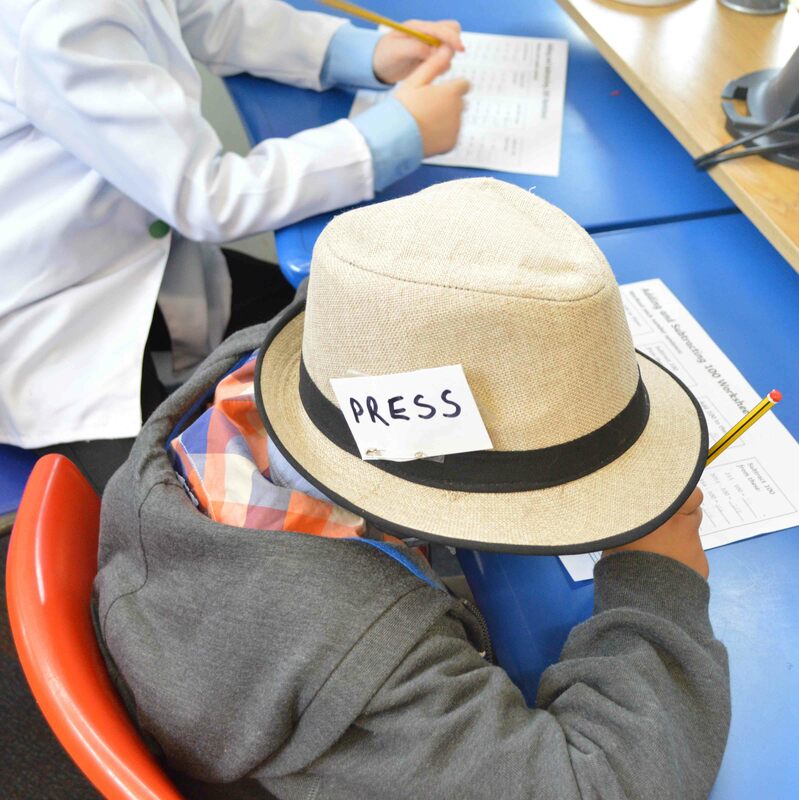 The Salcombe Quiz team are travelling to St Hilda’s Prep school today to take part in their General Knowledge Quiz Competition. Representatives from all Prep year groups have joined our quiz team and we wish them luck! Our brand new Tuck Shop opened today at the Prep School. 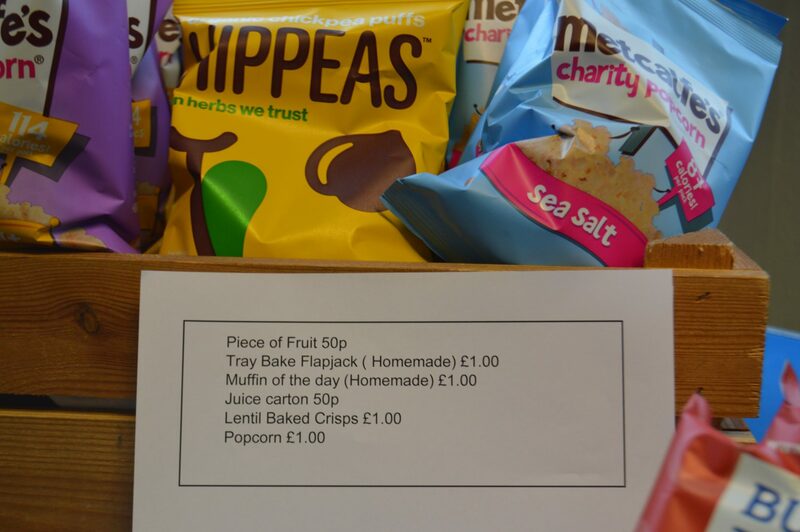 It is run by the school council and has a range of healthy drinks and snacks for sale. 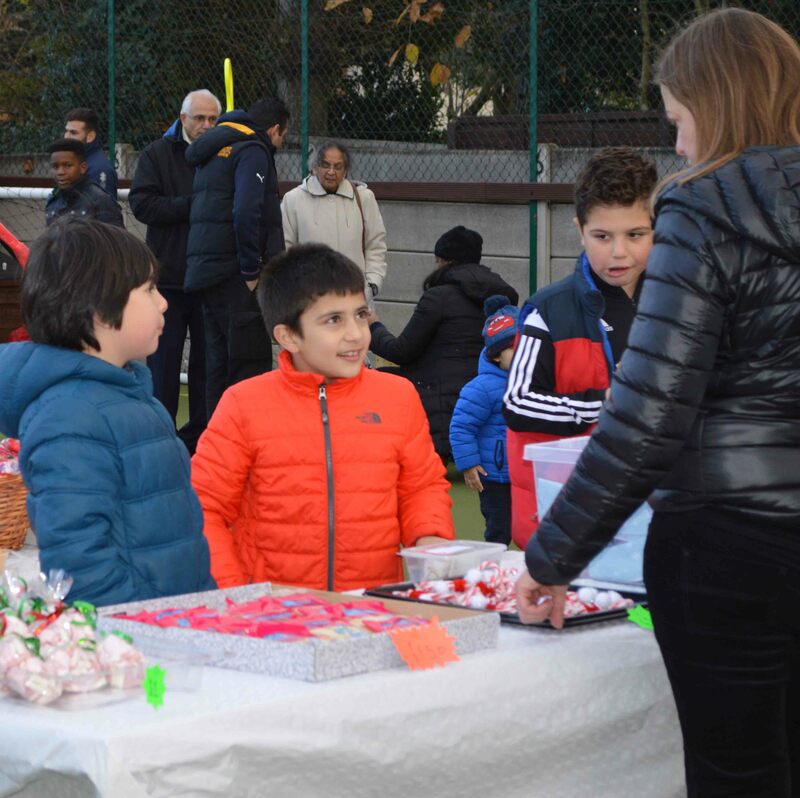 The students will have a chance to purchase goodies every week, while the school council will learn how a small business operates. Here’s to our future entrepreneurs! 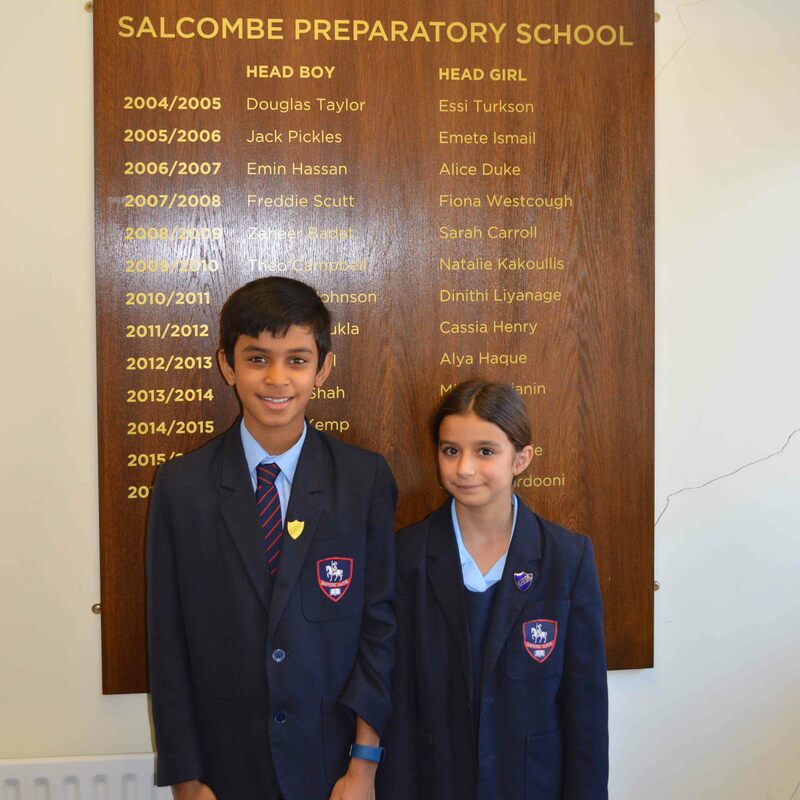 Today Salcombe welcomed some very special visitors – two teachers from one of our sister schools in Brazil. 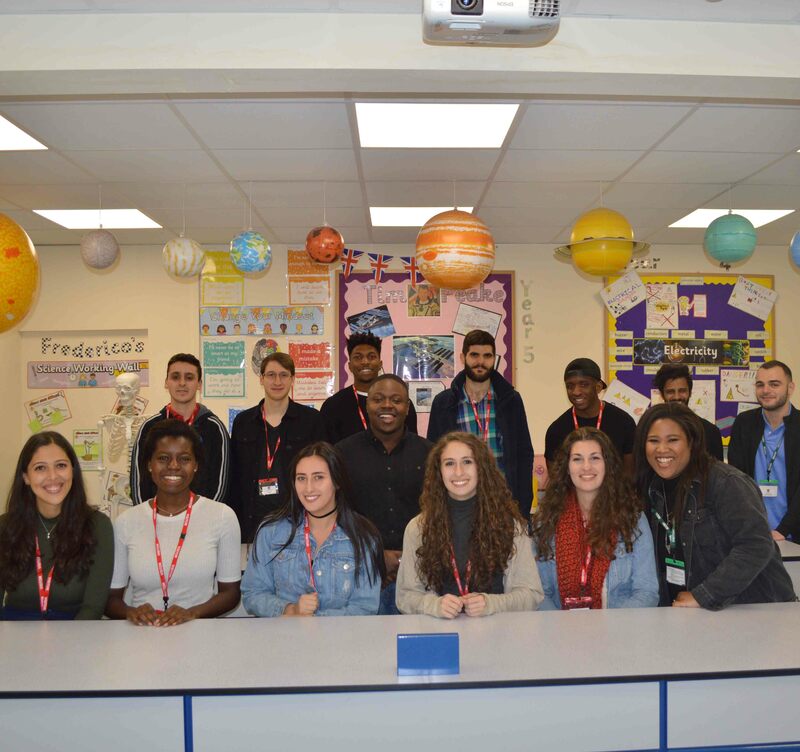 They are visiting several Cognita schools and we were very glad to meet them and find out all about their school in Sao Paolo! 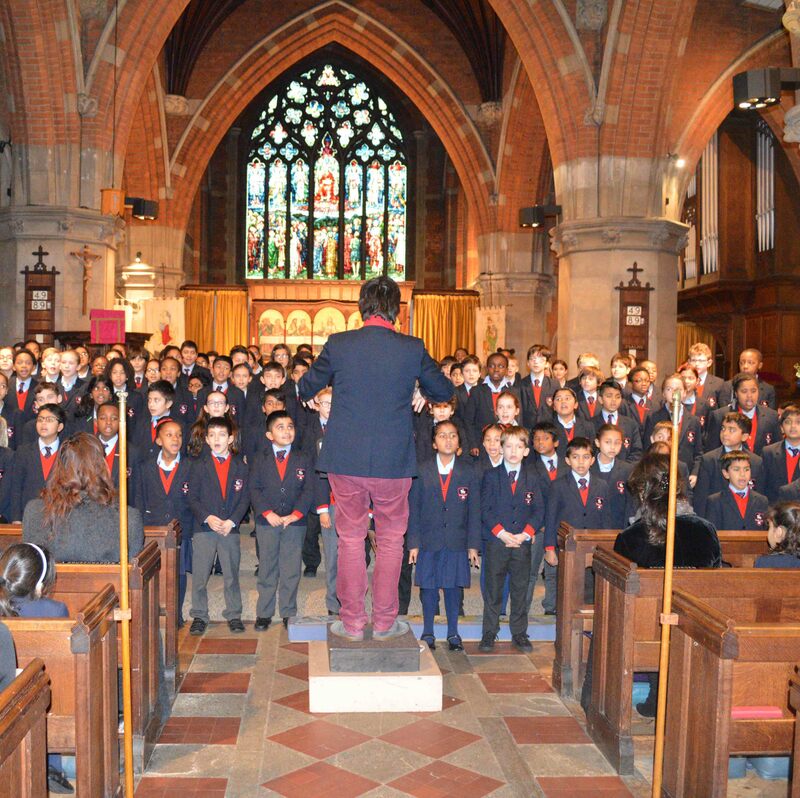 It’s been an exciting second half to our Autumn Term with trips, informative assemblies, competitions, and more. 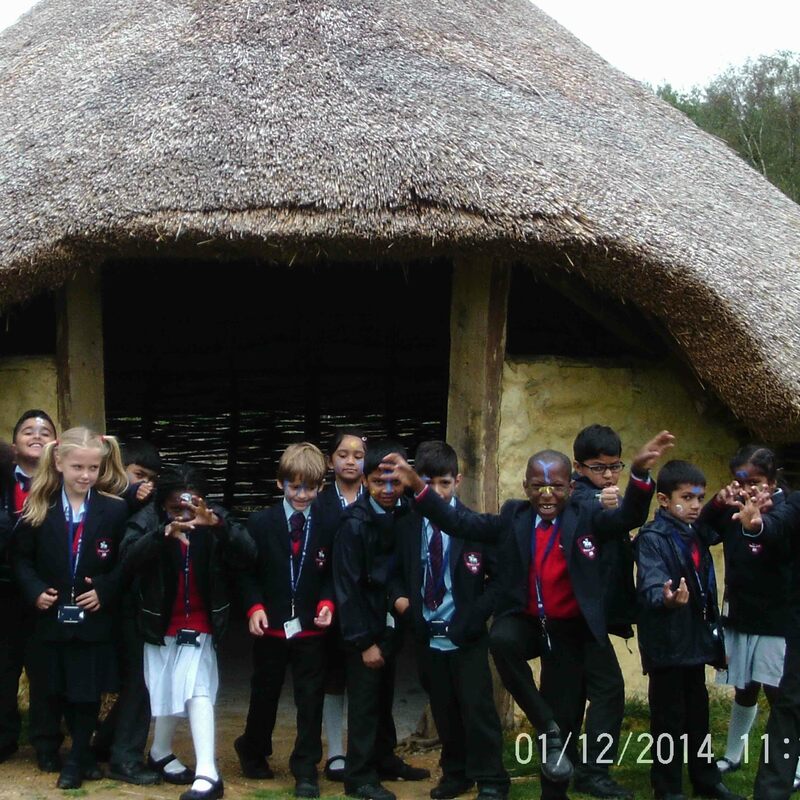 Some of our trips this term included the London Zoo, Natural History Museum in Tring, and the Royal Gunpowder Mills. 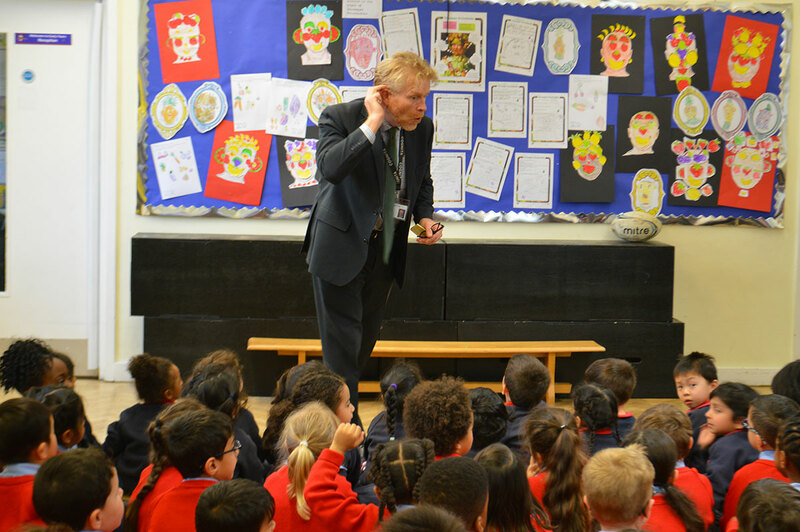 From Pre-Prep to Prep, we had several assemblies ranging from National Anti-Bullying Month to the Great Fire of London. 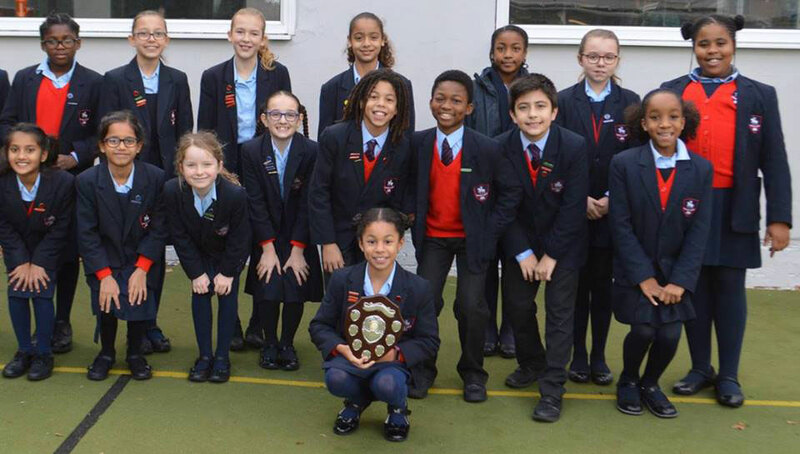 Outside of the classroom, the Eco Committee collected bags of clothes to donate to Bag 2 School, Years 1 and 4 parents were invited to have lunch, four Year 6s participated in the Explore Learning National Young Mathematicians’ Awards, and our Gymnastics team took part in the Enfield Gymnastics Festival. 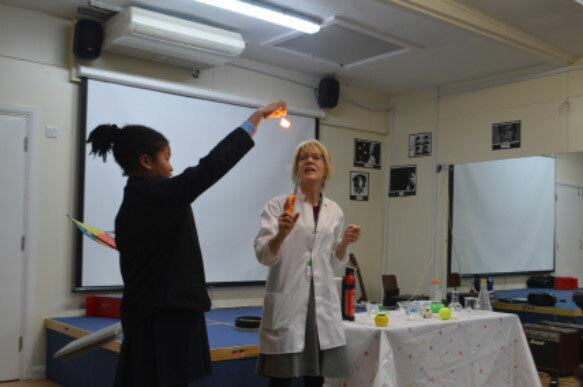 Our PTA have also been very busy this term putting on events for both children and parents to get involved in. There was an inaugural PTA quiz night for teachers and parents, new Class Reps were treated to an afternoon tea, and a fun Christmas Fair to start the festive season! 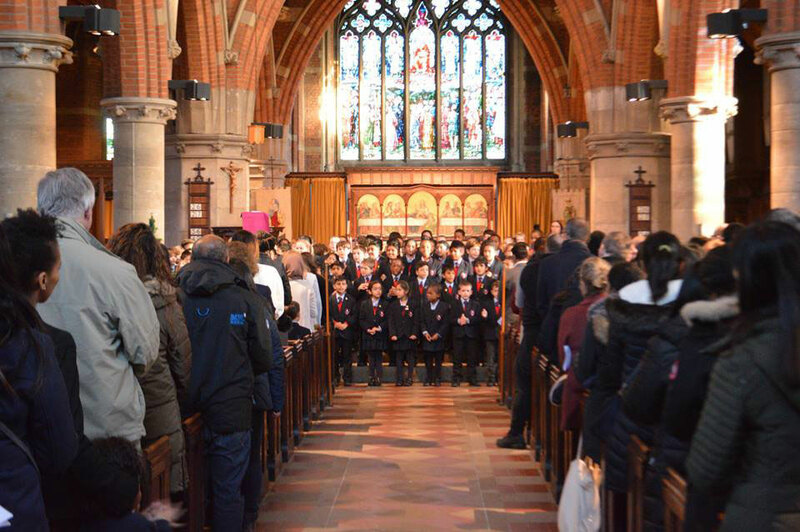 The Autumn Term ended with a beautiful Christmas Celebration Service at St John the Evangelist church. 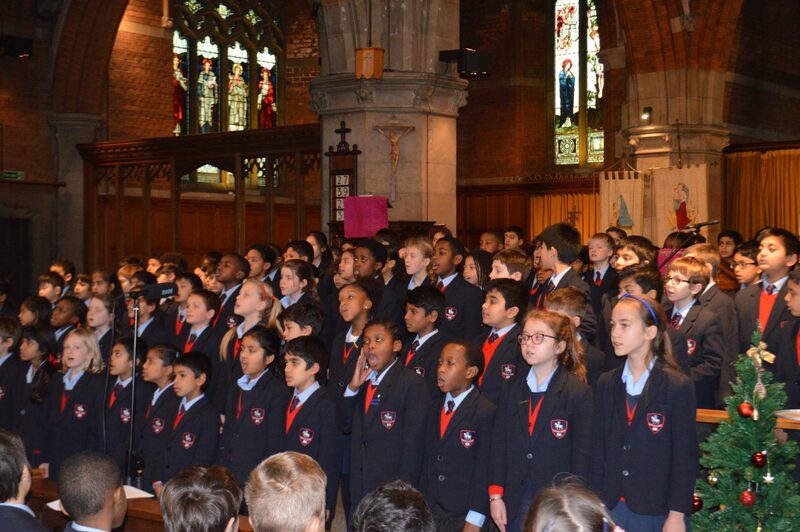 The whole church was filled with the voices of our students. 12 Days of Christmas was particularly fun to watch, and sing along to! Students and staff enjoyed a delicious Christmas lunch today with all the trimmings. Thank you very much to our catering team who prepared it all! Years 1 to 6 joined Ms Andrews at St John the Evangelist Church today for the final rehearsal of the Christmas Celebration Service. The children did very well and learned lots of songs. We can't wait for parents to see our students performing them all on Wednesday. 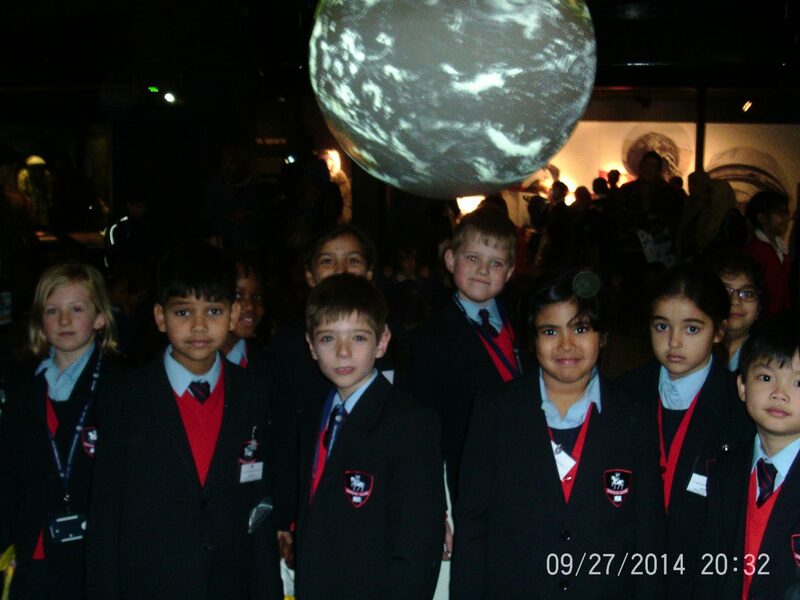 On Monday 27th November, Year 3 visited the Science Museum. We had a great day looking at all of the interactive space exhibits, learning about life in space and how we can look after our planet. We watched an amazing 3D movie about how astronauts live on the space station and we saw some jaw dropping views from space. We finished the day off by meeting Yuri Gagarin, the first man in space. 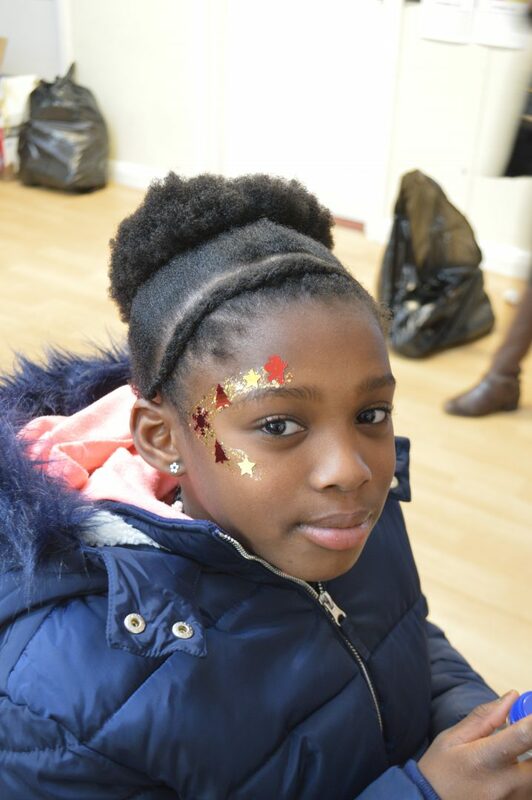 We had a wonderful time at the PTA Christmas Fair on Saturday and it was brilliant to see so many people attending. There were lots of really fun stalls to visit and we particularly enjoyed the world food stand and the arts and crafts stand. The best bit of the fair though was watching everyone try their luck on the reindeer rodeo – it was so much fun! Afterwards the PTA donated the unsold food to a local homeless charity which was greatly appreciated. Thank you so much to the PTA for organising such a wonderful event. 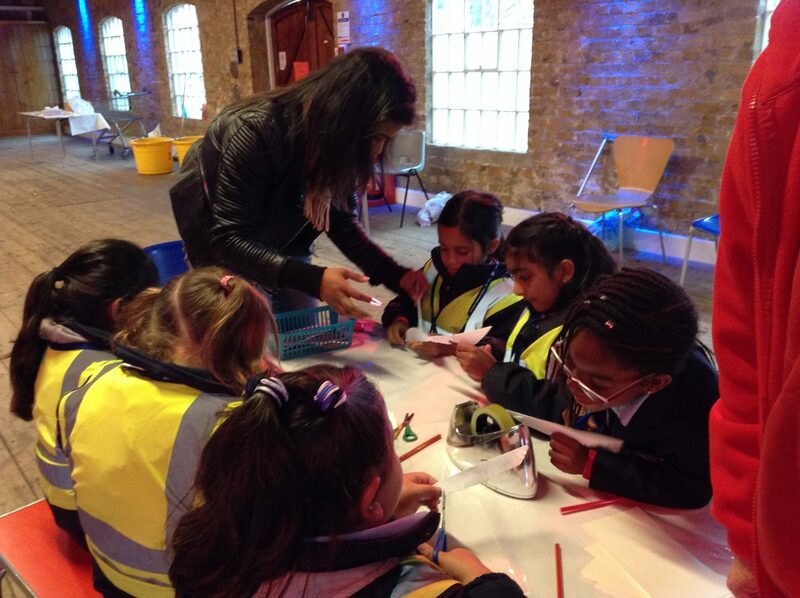 On Tuesday 14 November, Year 2 children visited the Royal Gunpowder Mills. We had a fun-filled, busy day learning about the Gunpowder plot through various hands-on activities and watched a short production on the Ghost of Guy Fawkes. 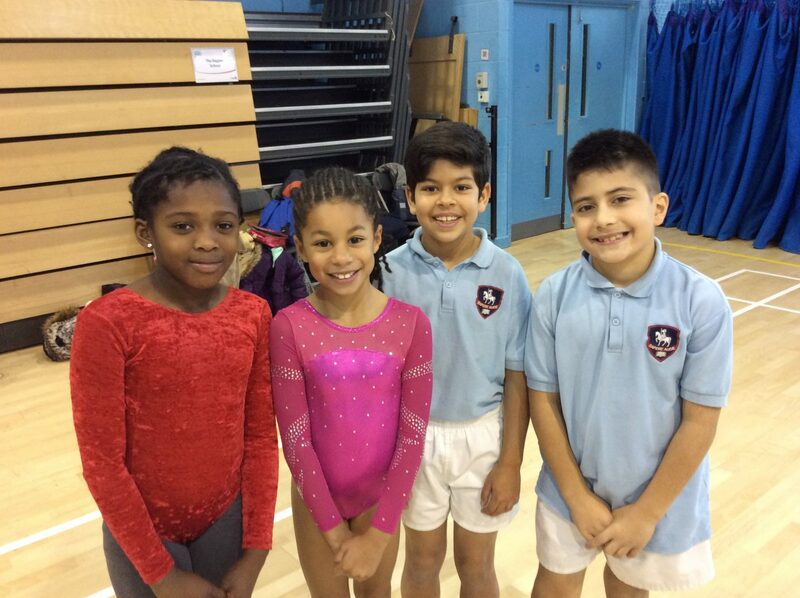 This week our Gymnastics team have been taking part in the Enfield Gymnastics Festival. We have entered several competitions and we will let you know how we get on! Yesterday parents of our Year 4 students joined us for lunch at the Prep school. They were treated to a delicious chicken cacciatore or veggie bolognaise, and lovely, warming autumn fruit crumble, with custard of course! 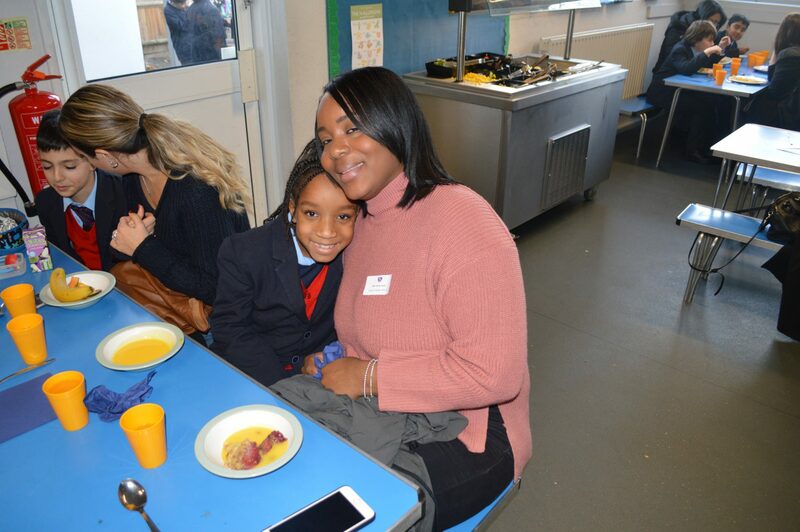 Everyone enjoyed themselves, and it was lovely to see our students sharing a meal with their parents. 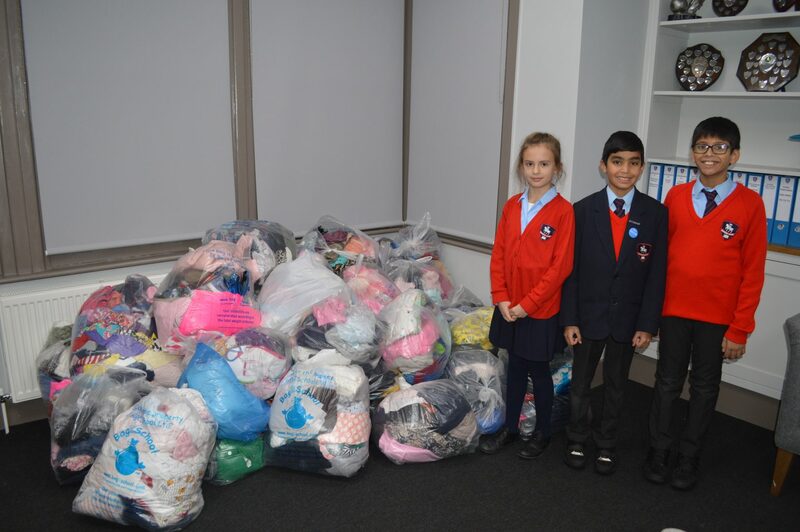 Thank you to all of our students and parents who brought in donations for our clothes collection. There is a veritable mountain of clothes in Mrs Davies’ office which the Eco Committee will be sending to Bag 2 School. We will update you once we hear from them how many kilograms of clothes we’ve collected. 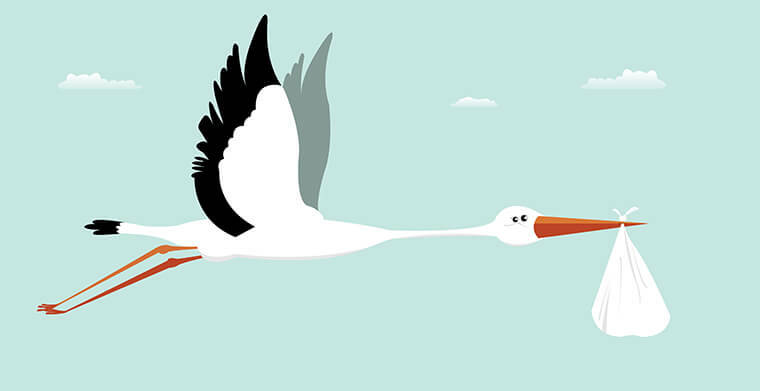 Congratulations to our Head of Science, Mr Venn, whose wife gave birth to their first child. They welcomed baby Teddy this week, and we can’t wait to meet him. 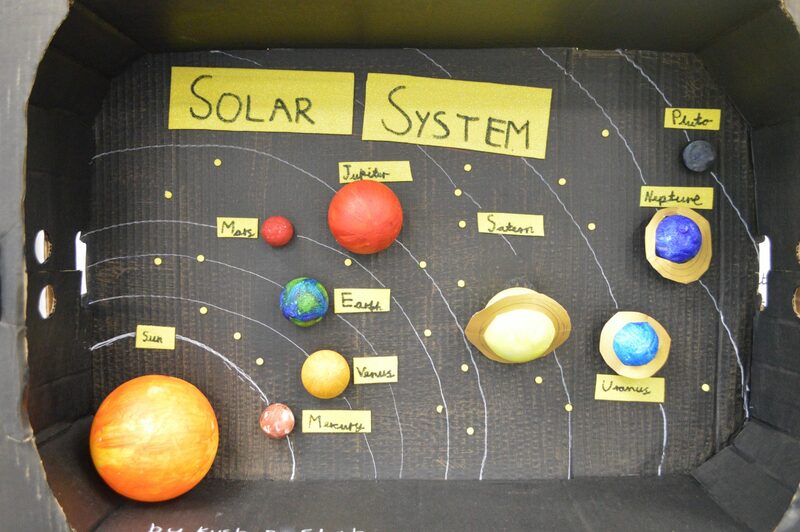 Students in Year 3 have created some wonderful models of the Solar System during half term for their Science lessons. You can view photos on our Facebook page. 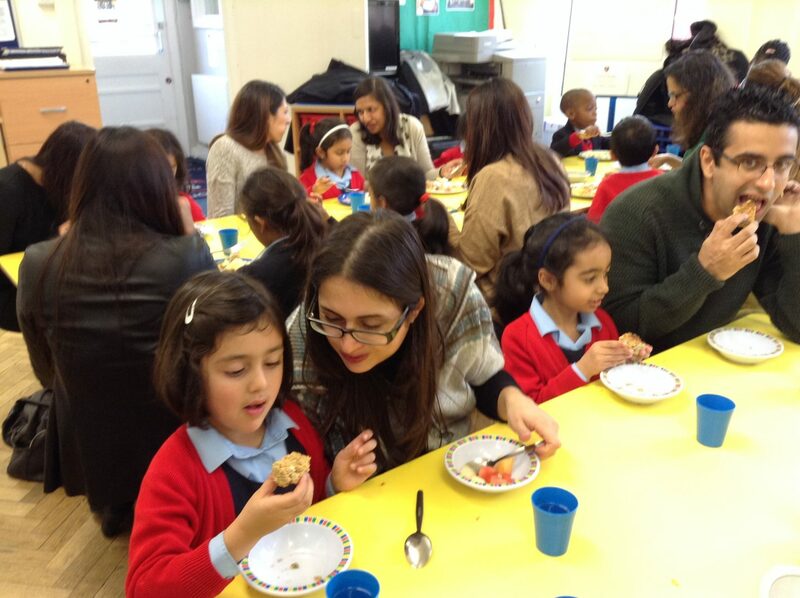 Last week, 19 Year 1 parents joined their children for lunch. All the students were excited to share their lunch routine. Many parents felt it was a useful insight into their child’s day and some even learned that their children were happy to eat food they didn’t usually eat at home. Our caterers were on hand to answer any questions regarding food and nutrition. 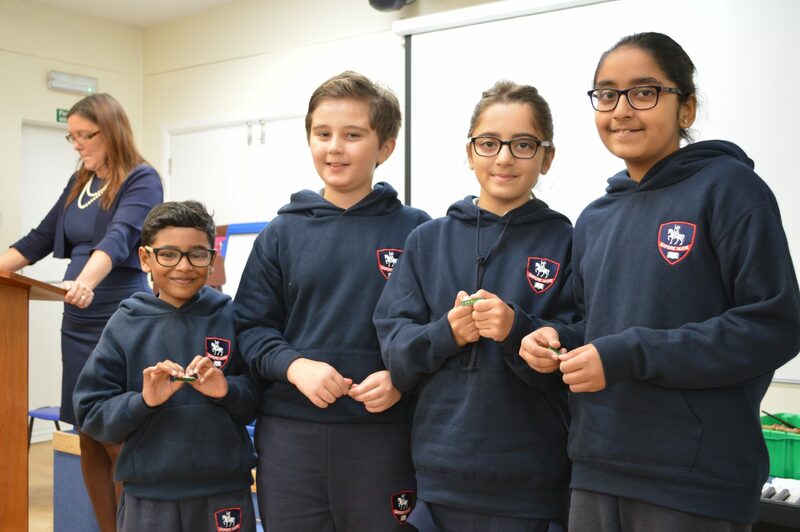 Today our House Captains presented an assembly at the Pre-Prep to all of our younger students about the three houses - Deakin, Claremont and Rosedene and their role as House Captains. 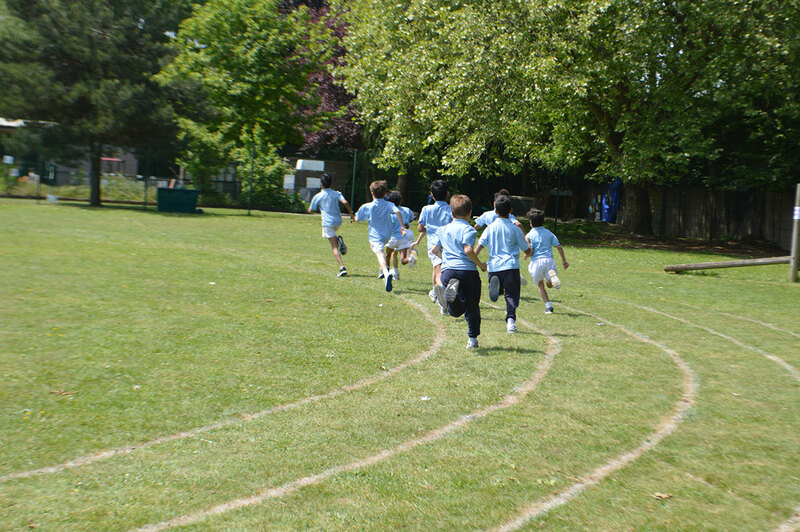 The race to win the House Championship this term has been very close, so every point counts. We wonder which house will triumph in December? 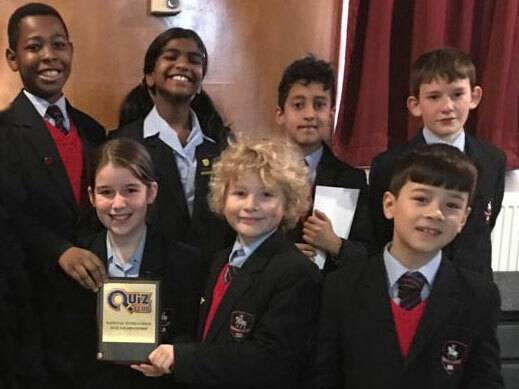 The inaugural PTA Quiz took place today and the competition was fierce. The teams took part in two tricky rounds and it was a pretty close call. 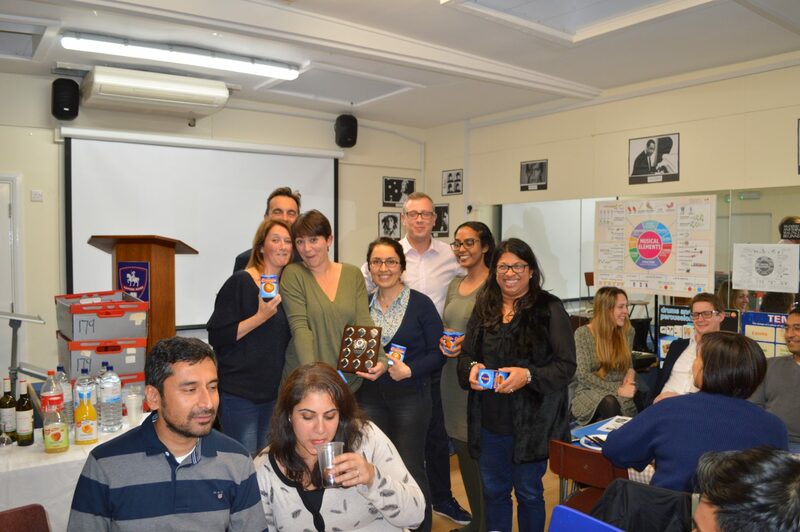 The quiz was won by the Year 6 parents' team while the teachers' team came second. The winning took the coveted trophy and the other teams received the obligatory wooden spoons. We're practicing for the next quiz already! 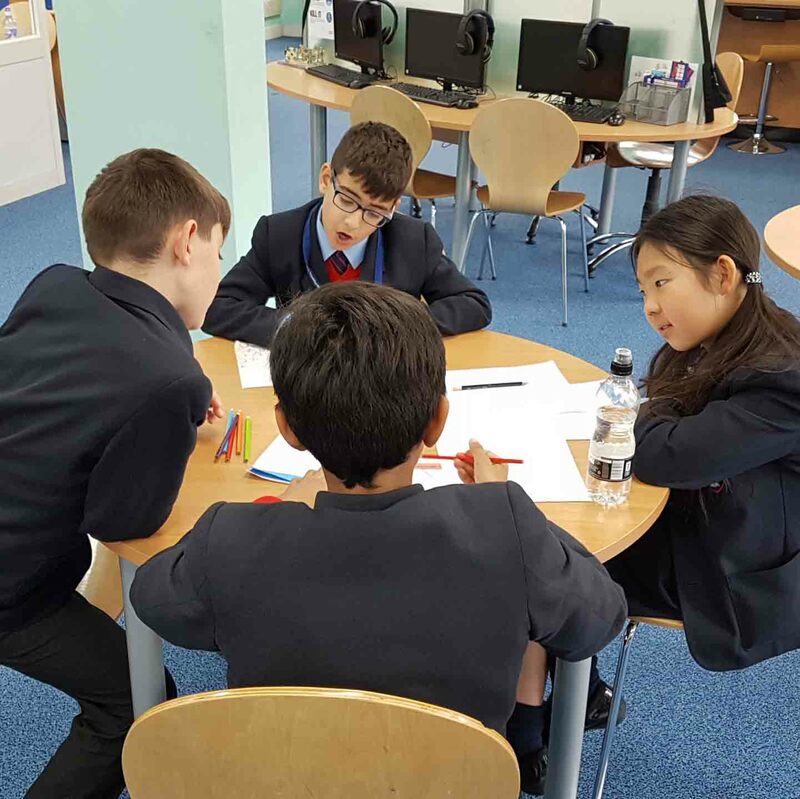 On Wednesday, a team of four Year 6 students took part in the first round of the Explore Learning National Young Mathematicians’ Awards. 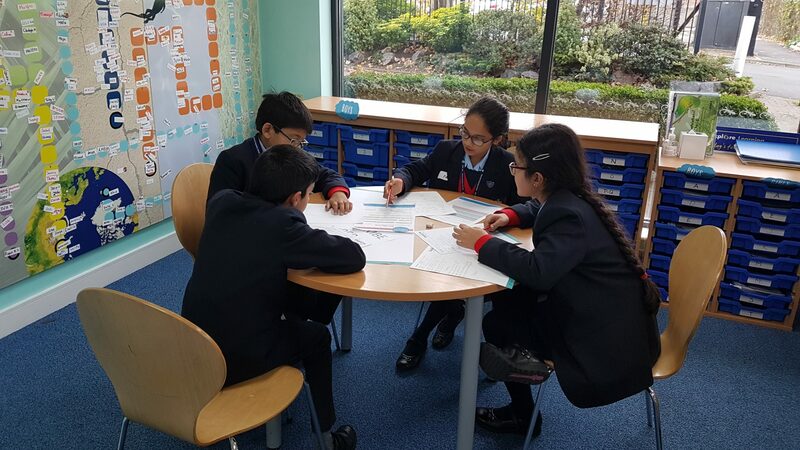 They were assessed on their teamwork, communication skills, as well as describing their answers mathematically. 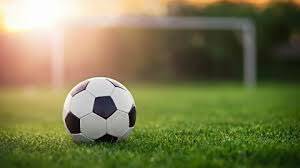 The children said they enjoyed the challenge, and were delighted when they found out they had got through to the second round. Good luck! The Eco Committee will be holding the biannual collection of clothes via www.bag2school.com soon. 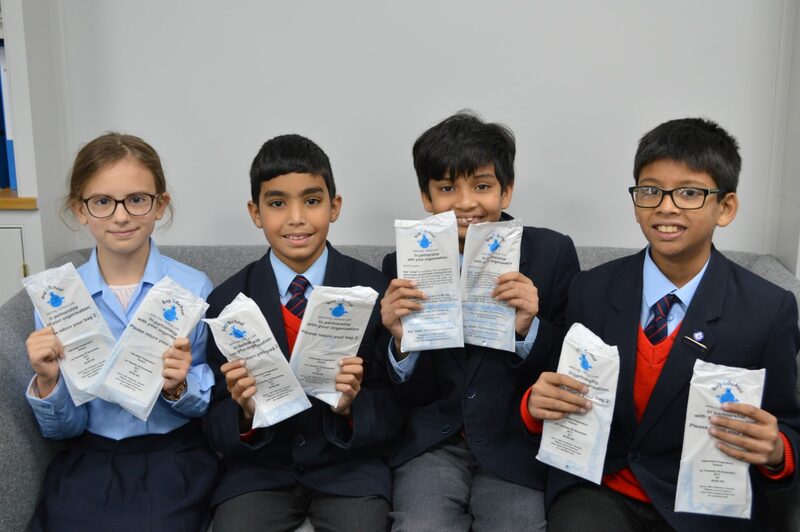 This is a company who recycle clothes and fabrics for several different charities; but also support fundraising in schools by paying above the market rate per kilo of materials collected. The last time the Eco Committee ran this campaign it raised over £220, and they are hoping to be able to beat that total this year. 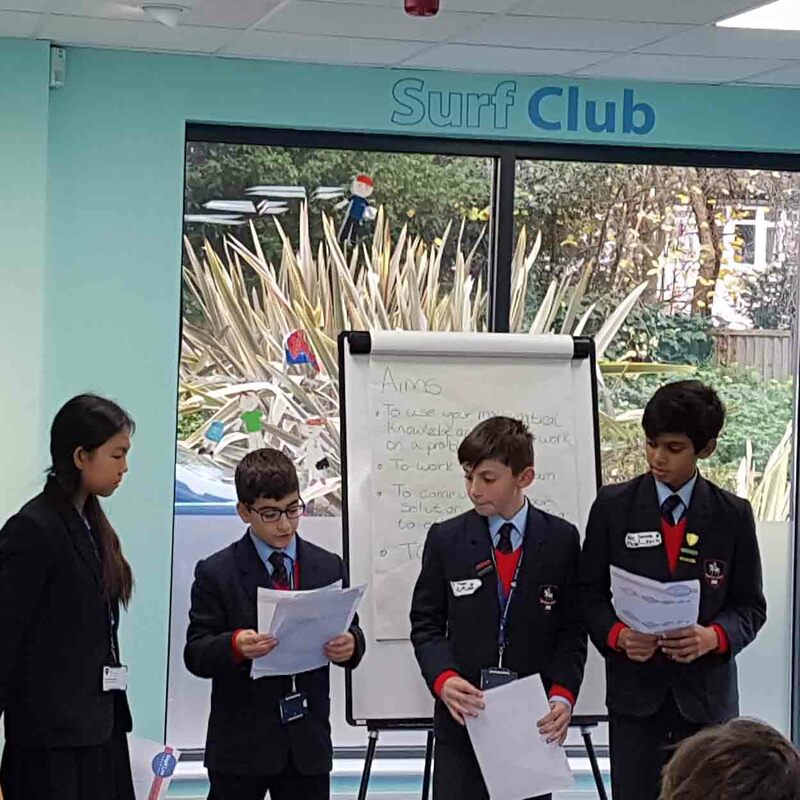 Last Friday our brand new Class Reps came in for an induction to find out about their duties. Mrs Davies treated them all to a delicious afternoon tea and everyone left feeling very enthusiastic about this new endeavour. 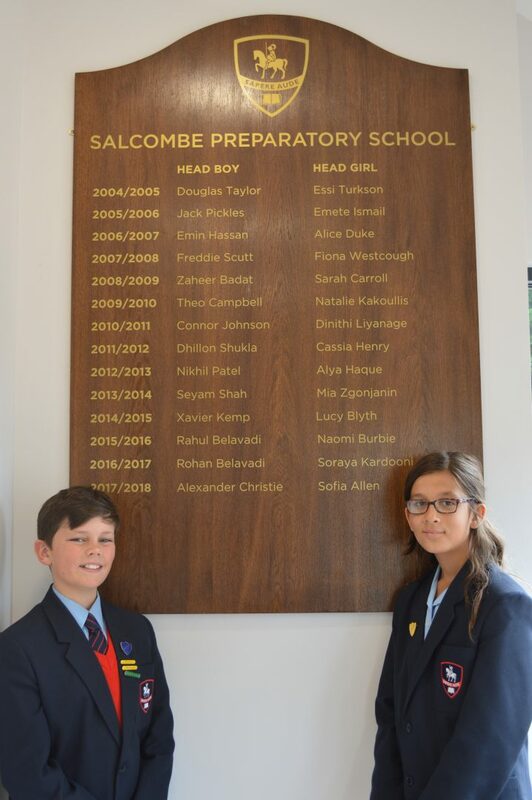 We know they will make a great addition to the Salcombe PTA team! 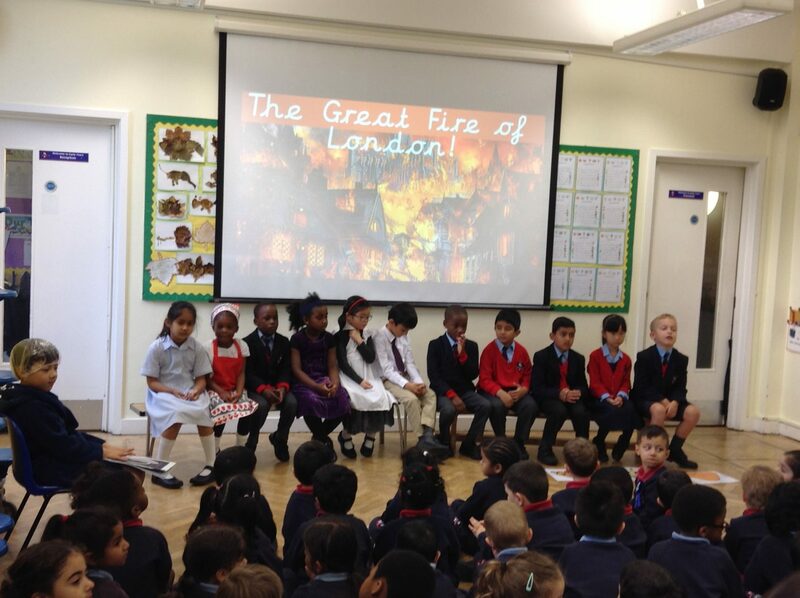 2C have enjoyed learning all about the Great Fire of London in our History lessons this term. 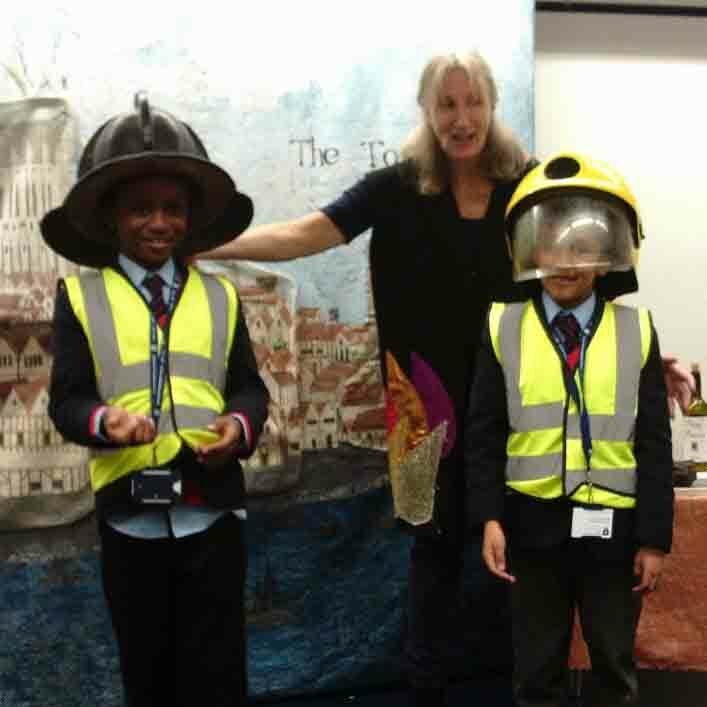 They learnt about how the Great Fire of London started, why it lasted for so long and how it was finally stopped. 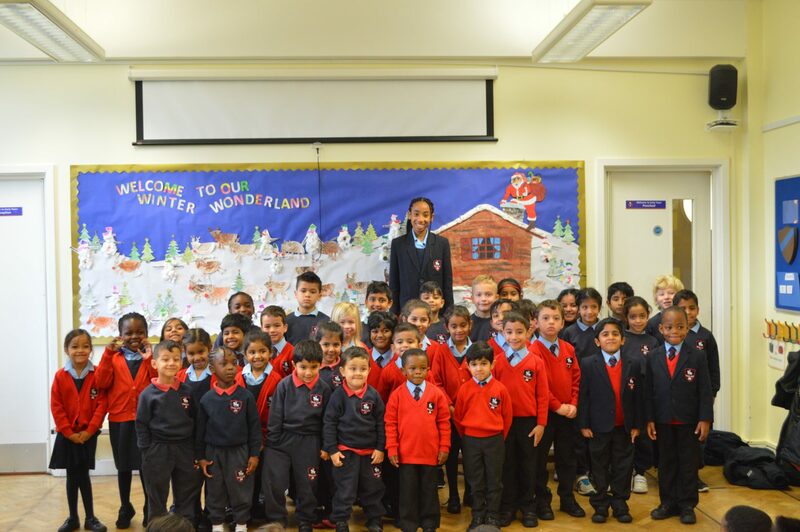 2C performed an assembly and sang a song called ‘London’s burning’ which they had been learning in their Music and Movement lessons. They also learnt why it is important to learn from mistakes as after the Great Fire, London was rebuilt with different materials and a new design to stop this from happening again. The children linked this to having a growth mindset and the importance of learning from our mistakes! 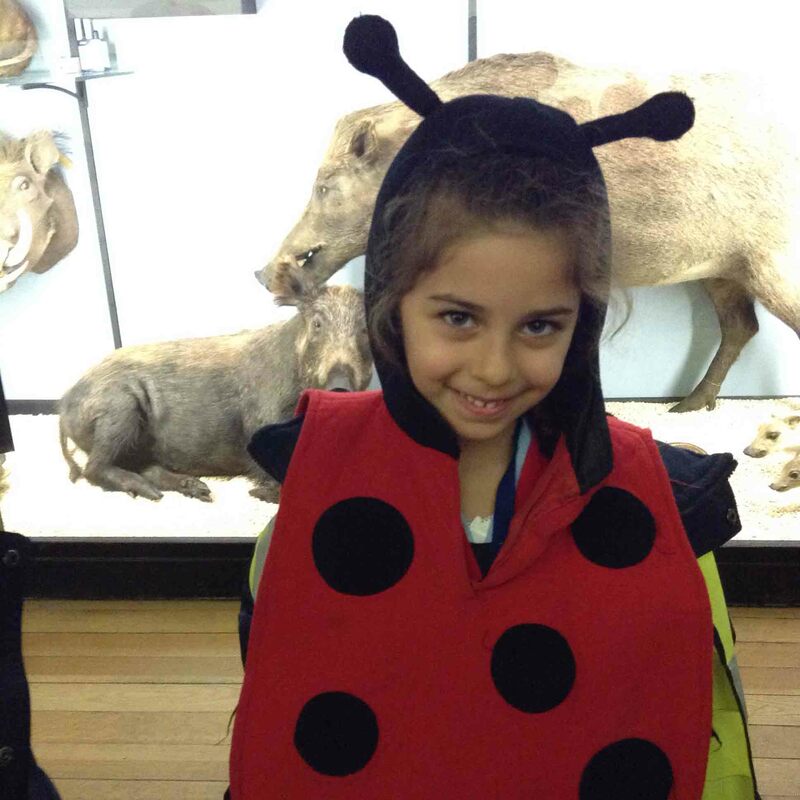 On Wednesday the Reception children visited the Natural History Museum at Tring. They explored the museum and discovered many interesting facts about animals. They took care when handling delicate museum objects. 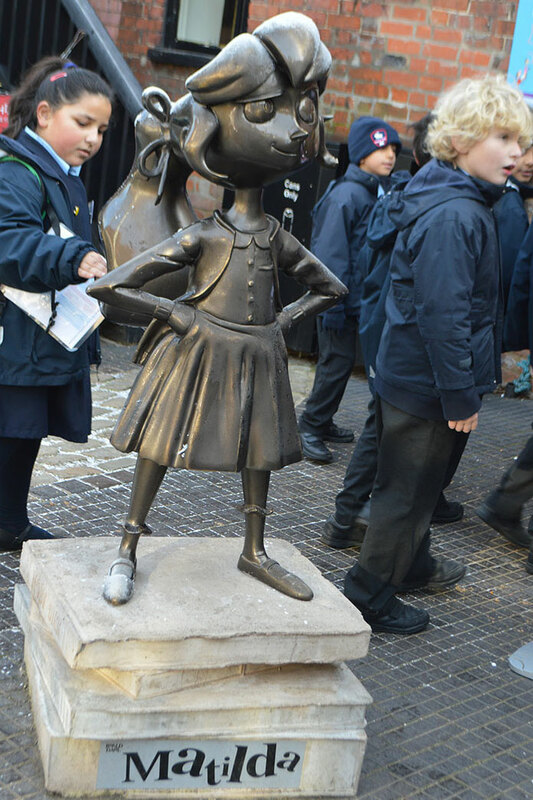 The staff and children would like to thank Mrs Chopra, Ms Patel, Ms Lonnen and Mrs Patel for their help on the trip. 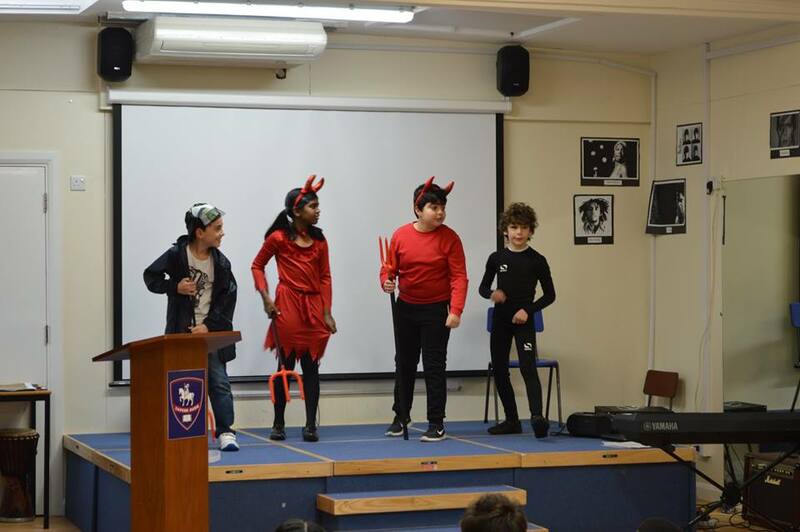 Yesterday 5M presented an assembly about bullying in time for the start of National Anti-Bullying Month which runs during November. They talked to the other students about the impact of bullying, and how it may not necessarily be seen on the outside, but has a deep effect on the inside. 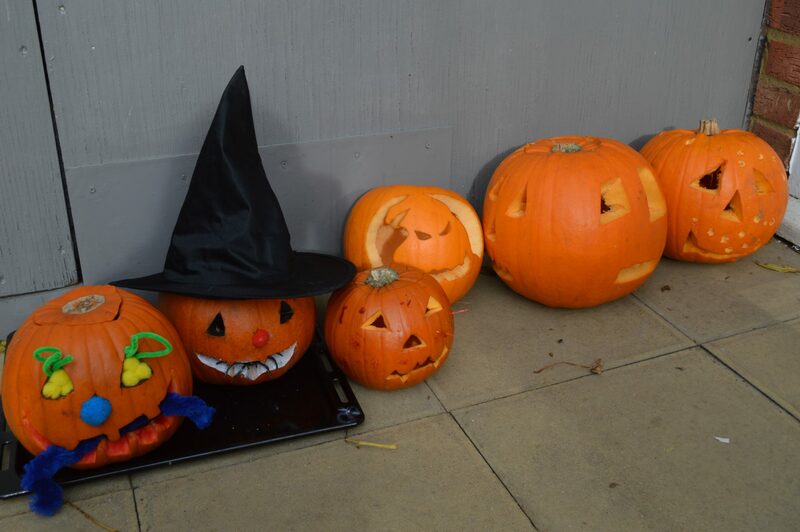 We have been getting into the spirit of Halloween this week with a pumpkin carving competition organised by Mrs Harding. Some truly terrifying jack-o’-lanterns were brought in – Miss Fathers had quite the fright when they were delivered to reception yesterday morning! 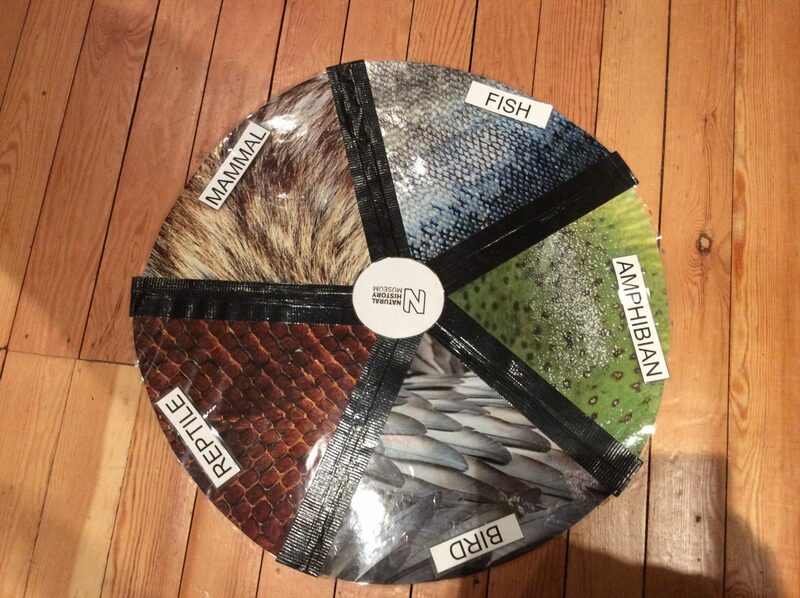 Well done to Elizabeth for creating the winning entry. 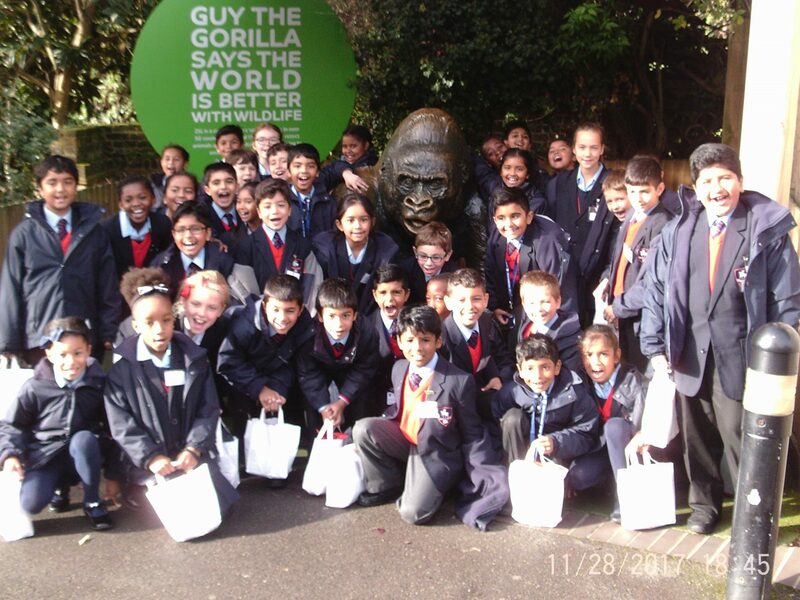 On Thursday 12th October, Year 4 visited London Zoo. The children had a great time learning about animal adaptations during the educational workshop as well as getting up close and personal with a Madagascar hissing cockroach called Charlie. Other highlights included watching the monkeys and visiting Penguin Beach. 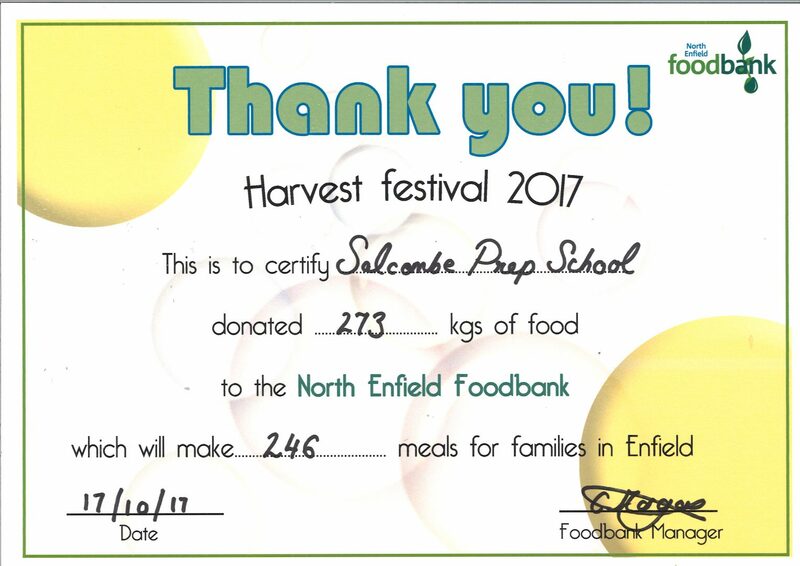 North Enfield Foodbank wrote to us this week to let us know the amount of donations we collected at this year’s Harvest Festival, and we are proud to announce that we donated 273 kilograms of food! The food will go to support families in need in the local area. Thank you very much to our parents for their very kind donations. 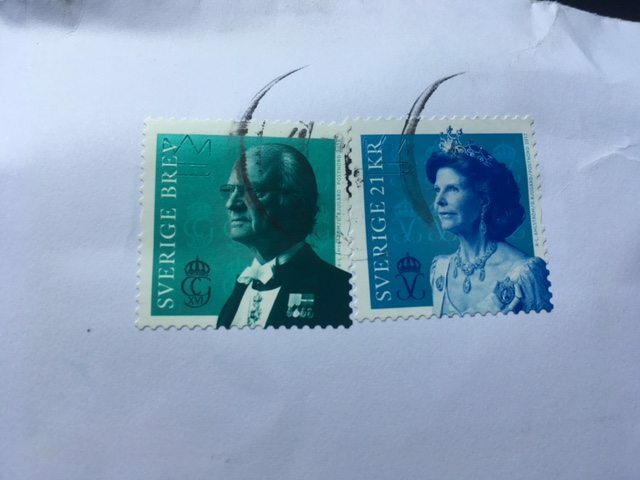 We have been receiving post from far away places, can you guess where these stamps are from? 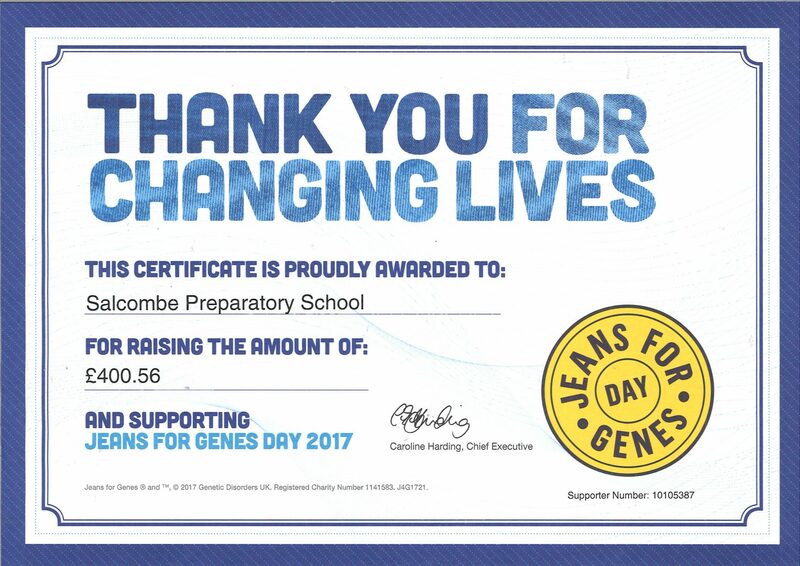 Following the very successful #jeansforgenes day which Salcombe took part in at the end of September, we received this lovely certificate to thank us for participating and raising over £400 for Genetic Disorders UK. We would like to thank all the students, teachers and parents who supported us, and in particular Hannah, who suggested we take part in the event. 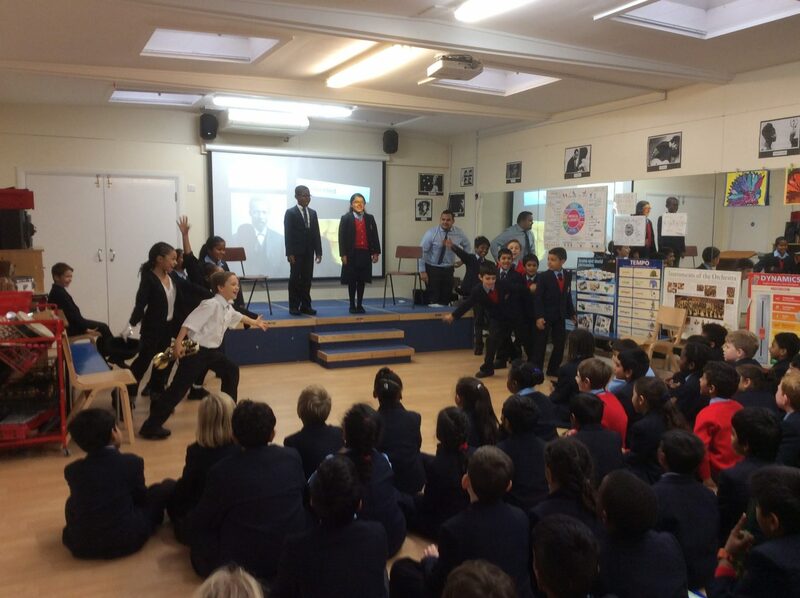 4I successfully led the Black History Month celebrations yesterday with a mix of Drama, History, English and Music all playing integral roles in our presentation. 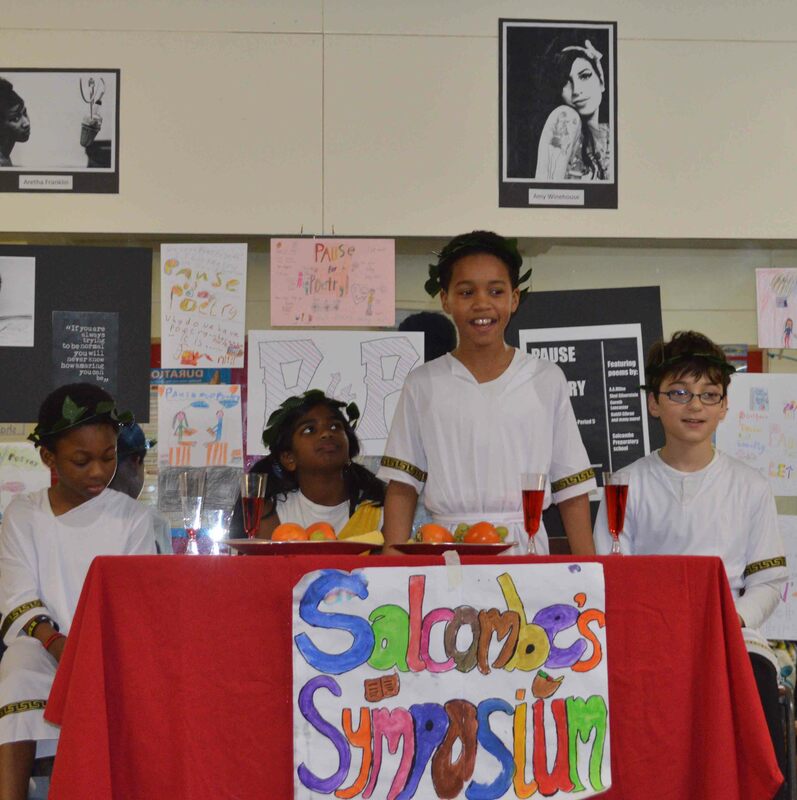 We highlighted the importance and celebrated the achievements of famous Black activists as well as those not so famous like Garrett Morgan and Claudette Colvin. The students have worked extremely hard, sacrificing parts of their break times and coming in early to perfect their dance routines and speeches. Our morning discussions exploring how to improve our performance and constant reminders of utilising full range of students’ voices and body language has well and truly paid off. 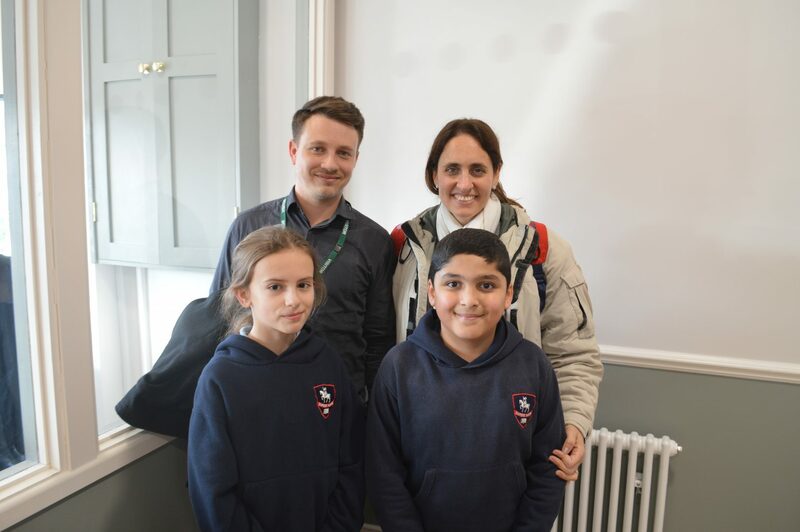 A special mention to the parents who supported with the preparation, especially to Sienna’s and Elias’ mums who both worked tirelessly to achieve a fantastic dance routine and music composition. 4I really appreciated their parents’ attendance and it made their performance that little more special. Every year during The Harvest Festival Salcombe collects food donations for our local foodbank. 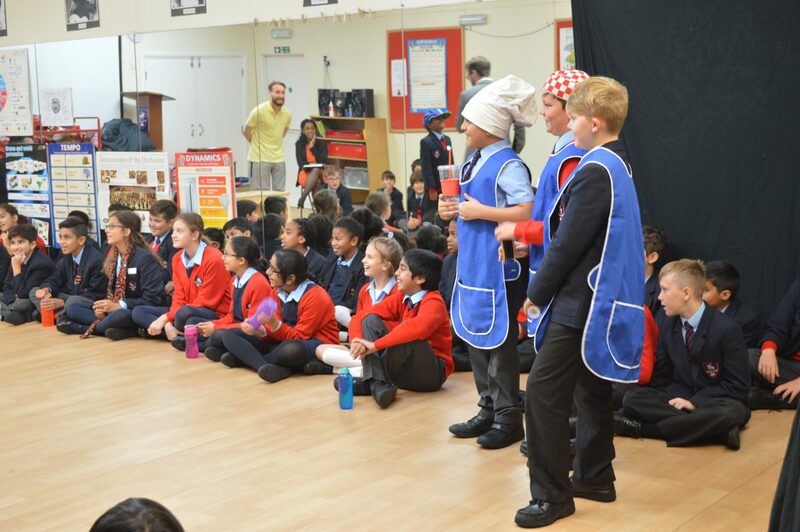 Last week both schools held a Harvest assembly to remind each other of the importance of food and to be thankful for what we have. Together we are helping local people less fortunate than ourselves. A big thank you to all our parents and students for their support. The foodbank will contact us to let us know how much food we donated soon. 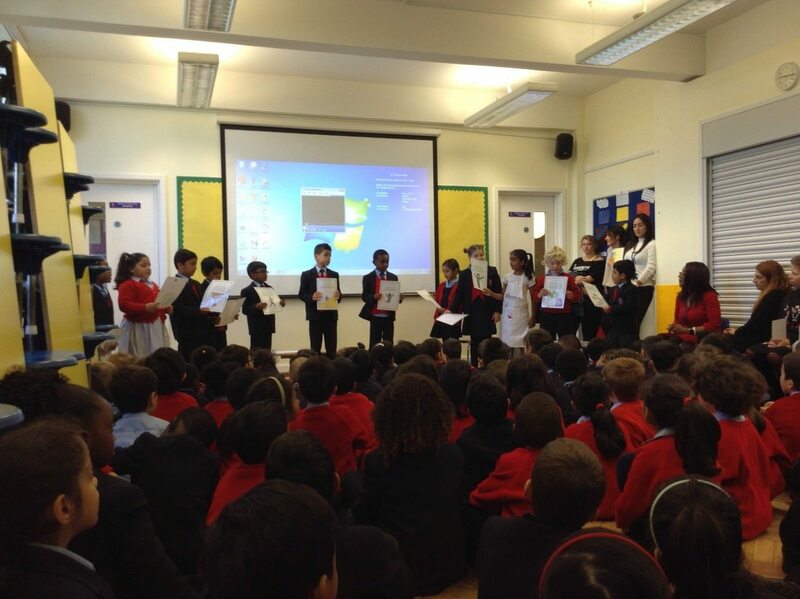 Last week Form 2B delivered a fantastic assembly on growth mindset to their parents. They performed a short play and sang a song. They believe that hard work, positive attitude and perseverance are important ingredients for a growth mindset. Well Done 2B! 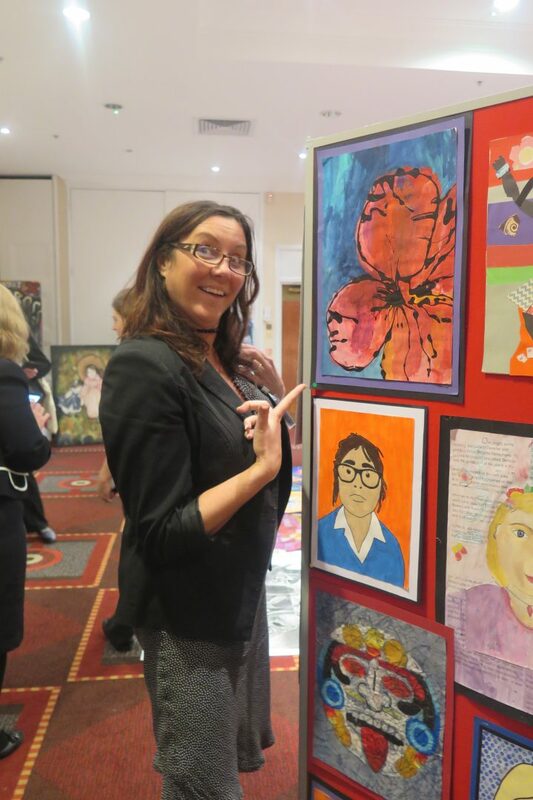 Last week Mrs Davies and Mrs Harding attended the ISA Annual Art Exhibition as Mrs Harding had selected a few pieces to display at the event. The quality of the artwork across the independent schools was extremely high and we are very proud to say that we received three highly commended 3rd places in group art pieces and in the KS2 category for 2D paintings we received first place. 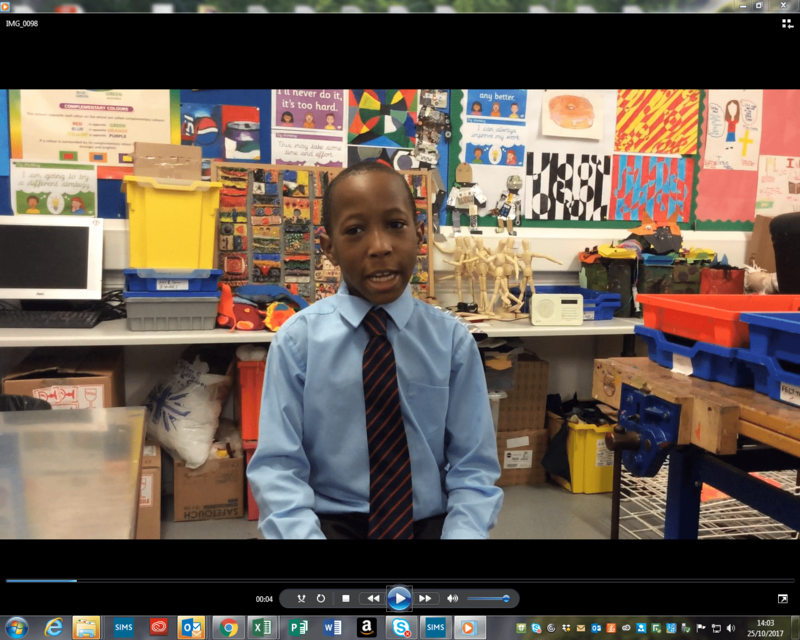 The winning artwork was done by Adrius in Year 4, and his painting was selected to represent the North London region in the national finals later on this year. 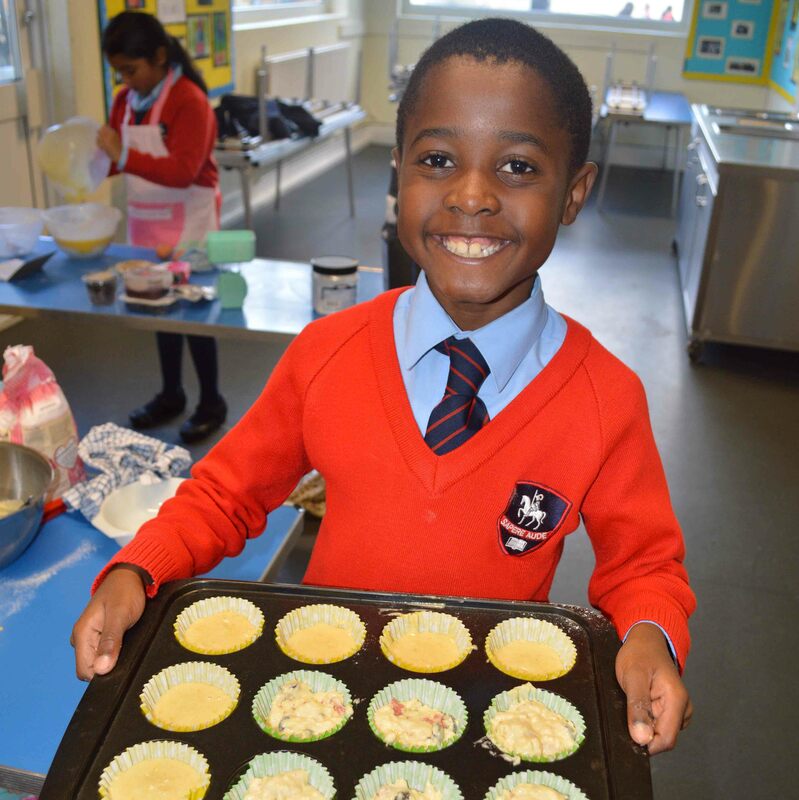 A big thank you to Mrs Harding who put in so much work with all the children and made such fantastic selections, and good luck to Adrius in the finals! 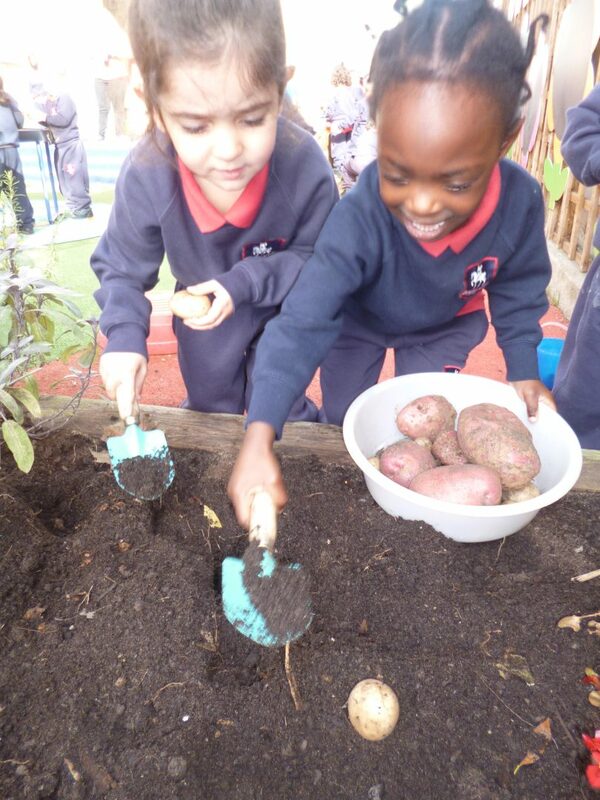 The Preschool children planted some potatoes this term in their garden. 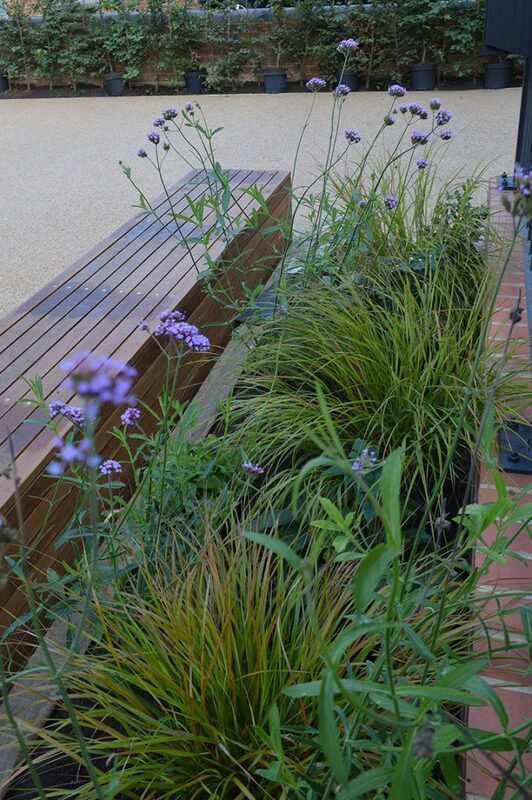 They had been grown during the competition in the summer term and replanted. The students really enjoyed digging in the soil and looking for potatoes. Our lovely catering team will be making a delicious potato salad for us all to eat. 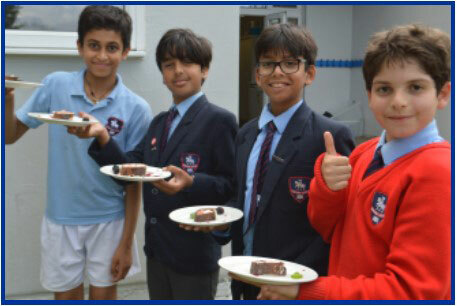 The first round of the Masterchef competition took place yesterday afternoon. 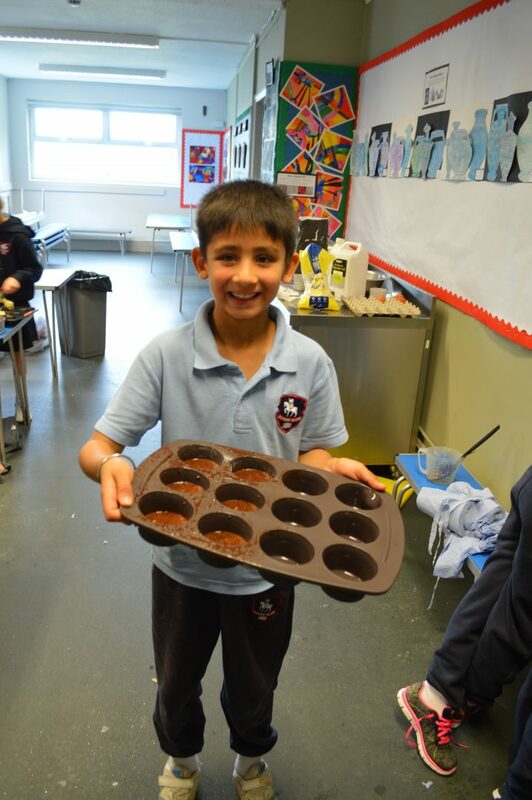 The participants had to bake a batch of savoury and sweet muffins. The children came up with some very adventurous flavour combinations, including bacon, cheese and turmeric, and goats’ cheese and rosemary. Mrs Davies and Chef Smith had a very fun afternoon tasting them all. Today we are celebrating international #DayoftheGirl by celebrating the achievements of our female students. Everyday our girls work hard in their lessons, they are top students, netball champions, great cooks and we’re certain they will achieve great things in life. Meet our future politicians, athletes, doctors, scientists and who knows maybe even an astronaut! 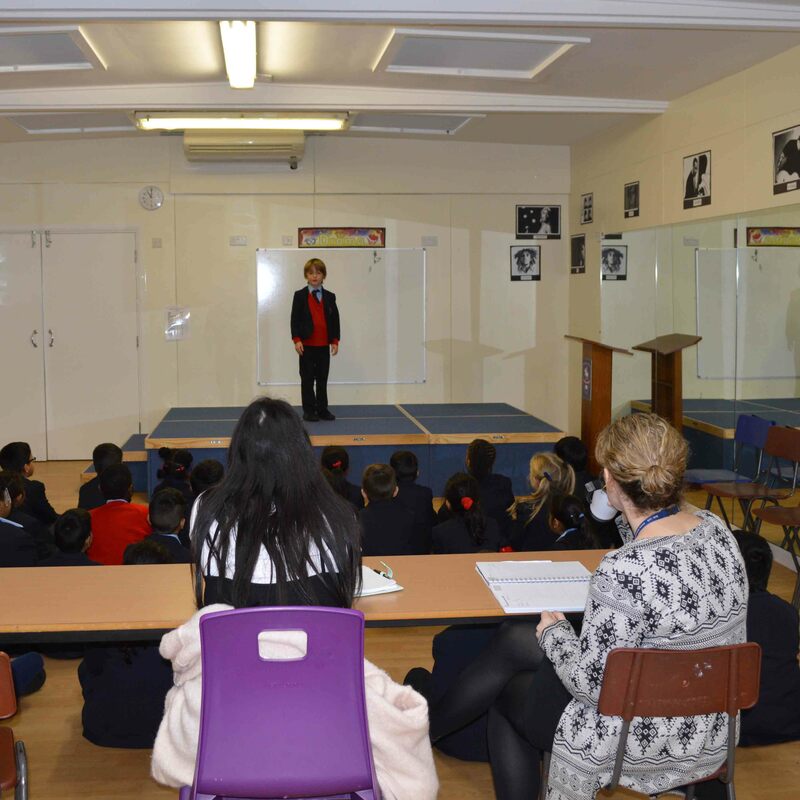 On Friday, our Pre-Prep students took part in a drama workshop. They became all sorts of underwater creatures, from jellyfish and crabs, to stingrays and clown fish. The teachers were very frightened when the children pretended to be sharks – they were very realistic! September was a busy month for us as we welcomed back our students, staff, and parents to the new academic year. 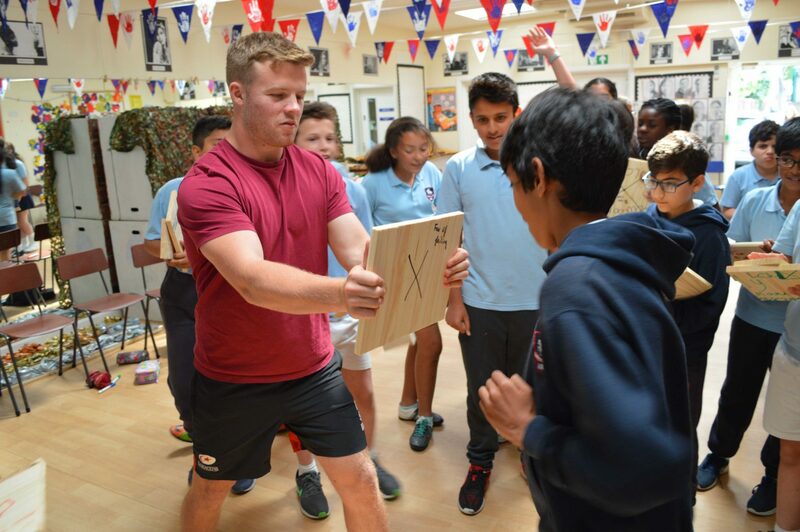 From the PTA Coffee Morning, to the Young Shakespeare Workshop and Jeans for Genes Day, we dived right into the year with lots of activities to get involved in. However, there’s no sign of us slowing down as we head into October. Be on the lookout for all the wonderful and spooky things we will be doing this month. 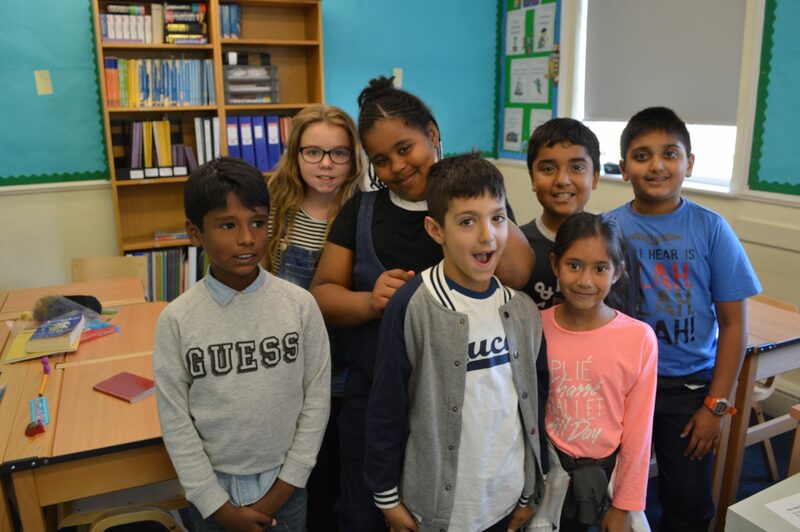 Last Friday all of our students took part in #jeansforgenes day and had great fun coming to school wearing all sorts of denim outfits, and naturally the teachers joined in too. One of our students suggested we take part after reading about this event, and the charity it raises money for, Genetic Disorders UK. We are delighted to say that we raised an amazing £400.56 for a very worthy cause. 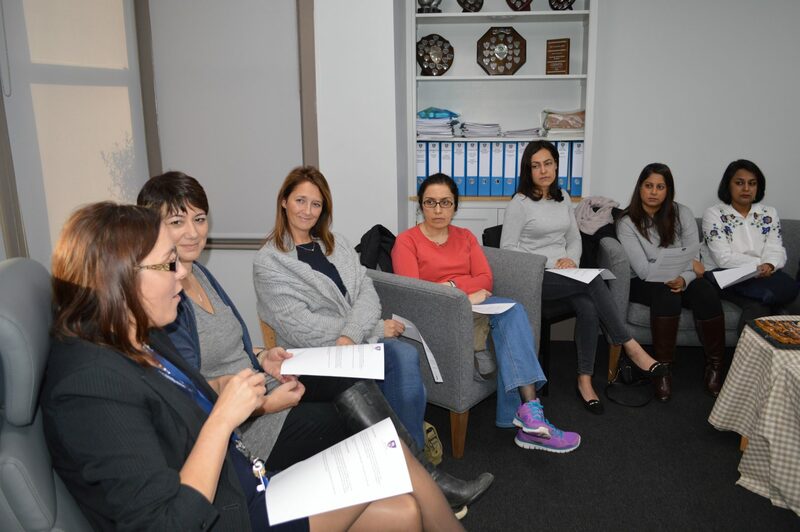 The PTA are meeting once again for the Annual General Meeting and its lovely to see lots of parents returning and new parents who joined us in September. The PTA have an exciting year planned and we can't wait to see what events they will organise this year! 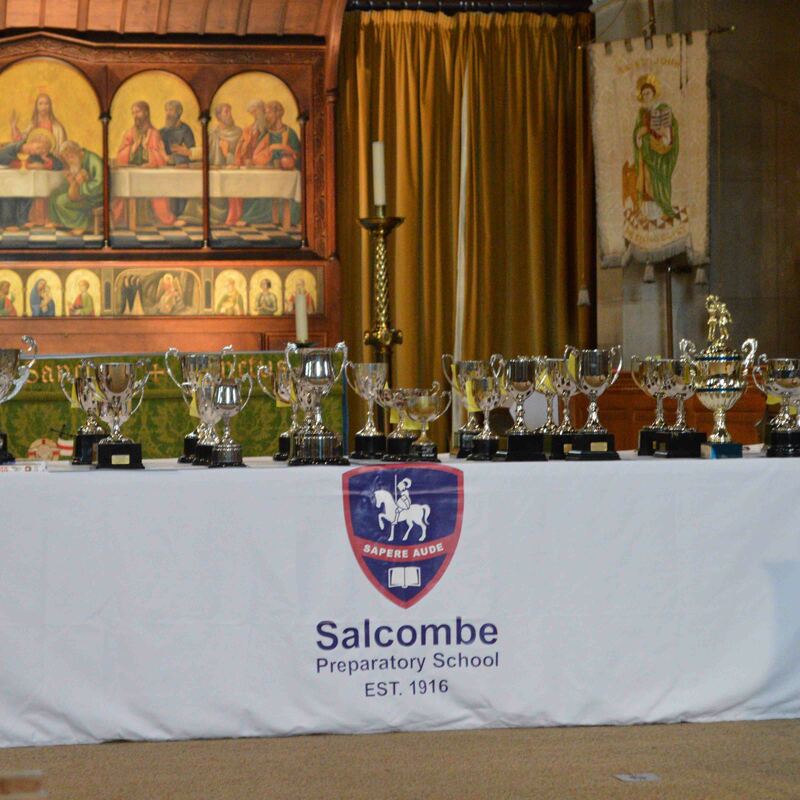 Parents of students in Years 4, 5 and 6 will join us today for our Senior Schools Forum, which welcomes 12 prestigious local independent schools to Salcombe. 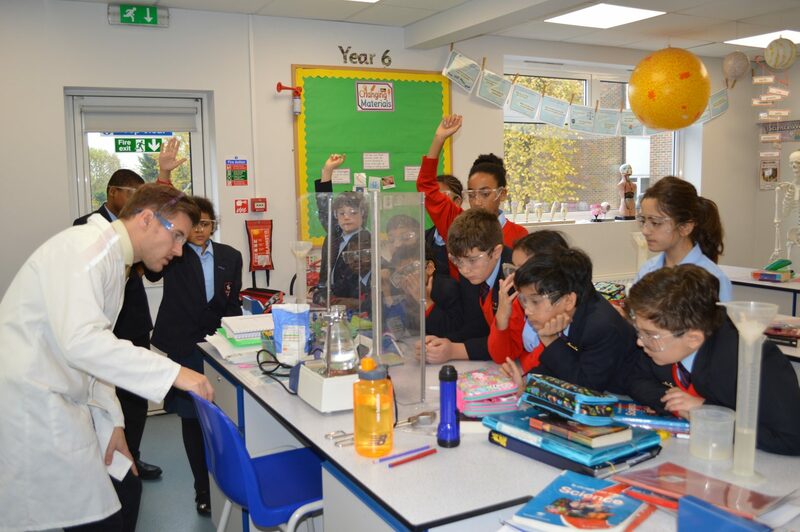 This is just one of the events we organise as part of our 11+ transition process, which aims to match our students with their perfect senior school. 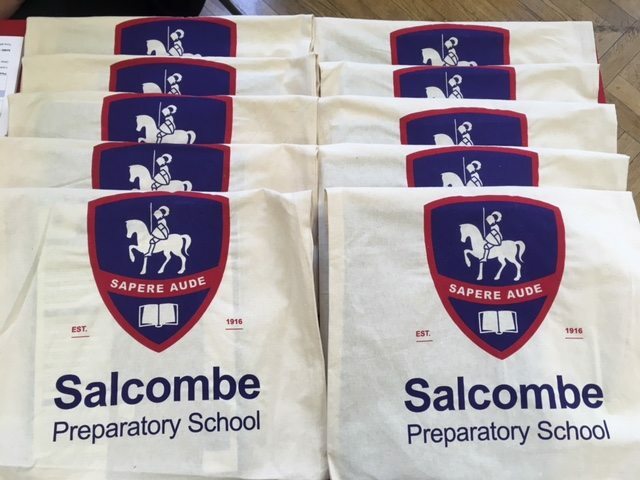 If your child attends Salcombe in one of these year groups, join us from 4pm! The prospectuses are all ready and everyone is very excited to meet lots of prospective new parents at our Open Day today, especially Year 6 who will be conducting the tours. 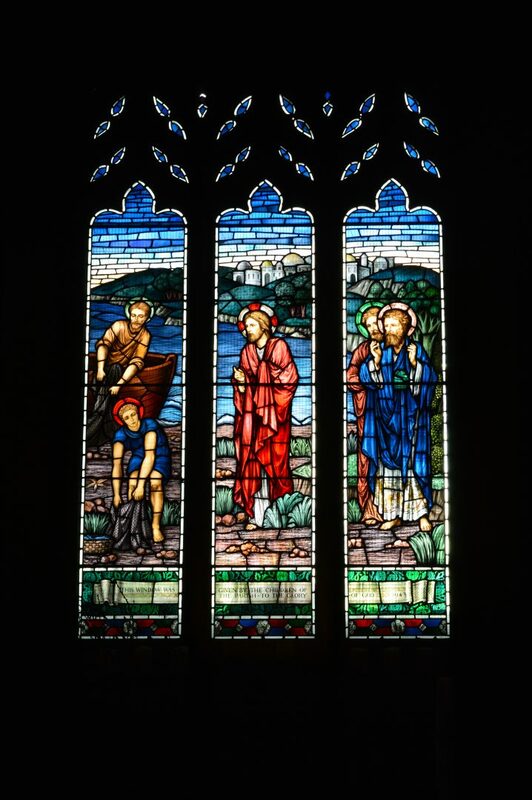 If you can't visit us today, we will have another Open Day in January. 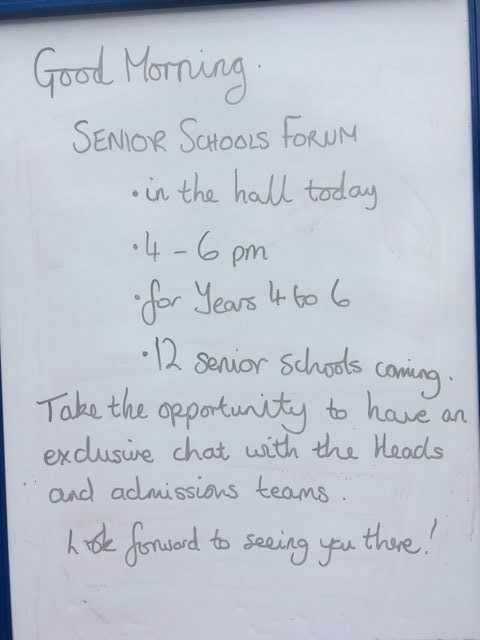 Mrs Davies and Ms Hore are holding a meeting for parents of our Year 5 students today after school, to talk to them about the transition to senior school. There are lots of schools to choose from, and lots of Open Days to attend. 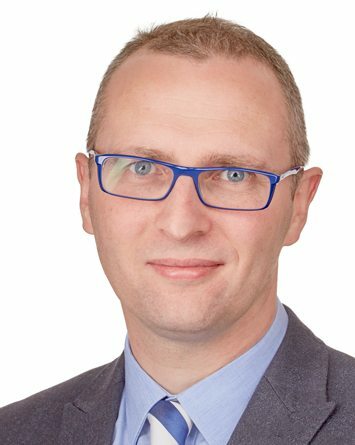 Parents will also have a chance to meet staff from several independent senior schools at our Senior School Forum which takes place next week at the Prep School. It’s a big decision, and the start of an exciting time for our older students! 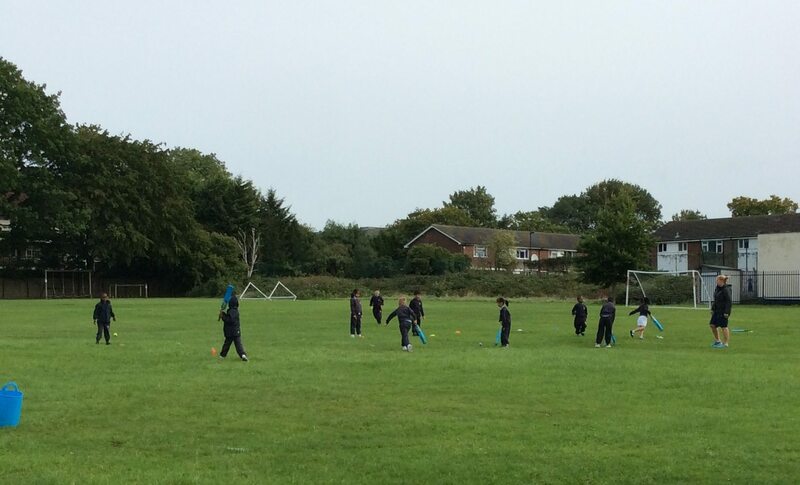 Last week Miss Wallbank took advantage of the dry weather and took the Year 2s to the sports field for one last cricket lesson of the season. Soon we will be starting the winter sports. 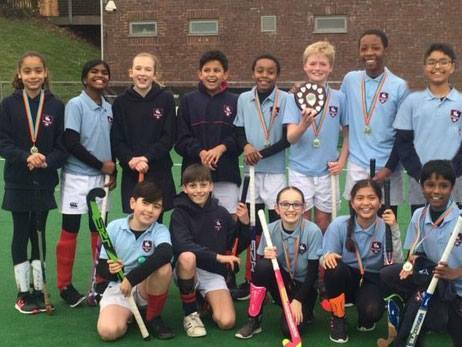 We do have the borough Hockey Championship to defend! After the first full week we have all settled back into our normal routines. 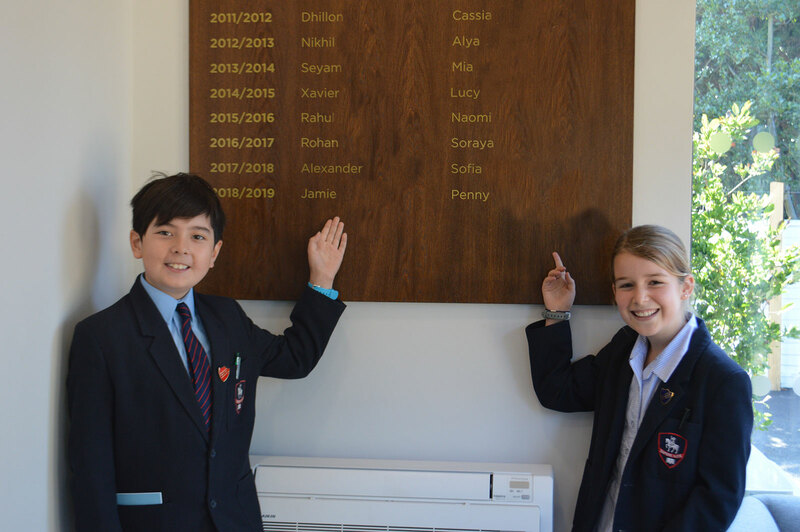 Our new Head Boy and Girl will have to take on extra responsibilities this year as they will be representing the school during visits and at events. 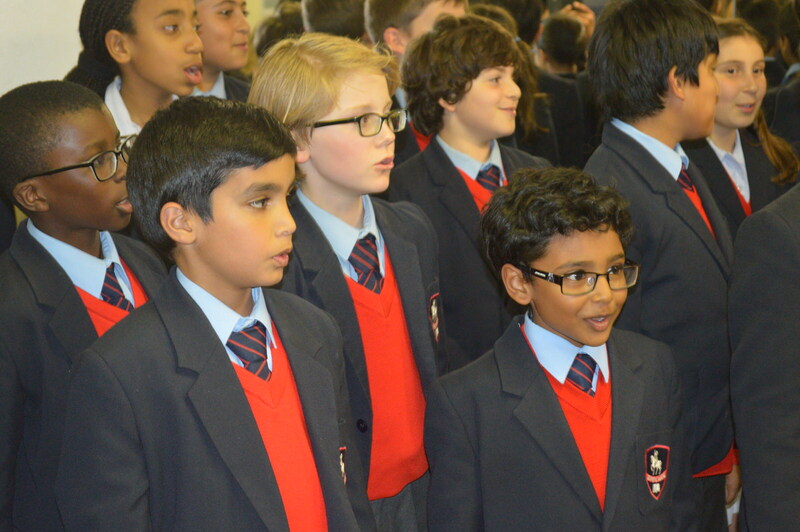 They are keen to get started, and are looking forward to representing the school at next week’s open day. 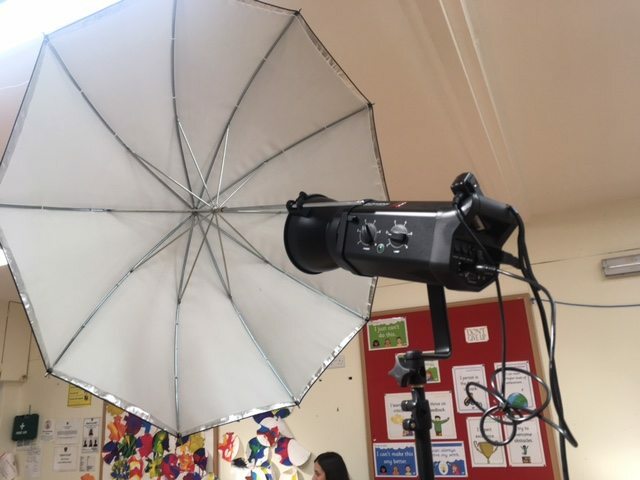 Today all our students sat for their school photos. Everyone was dressed very smartly and we saw some wonderful smiles. We can't wait to see what the final photos look like. 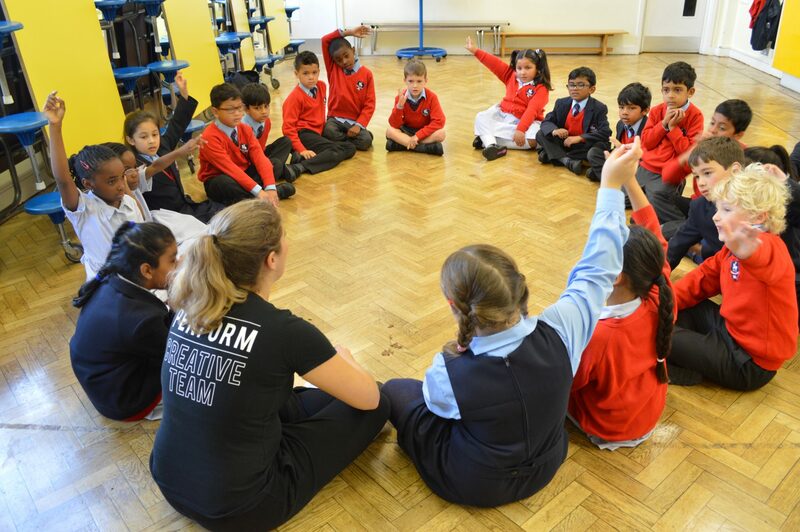 The first full week back at school began with our Year 5 and 6 students learning about the tragic love story of William Shakespeare’s Romeo and Juliet. 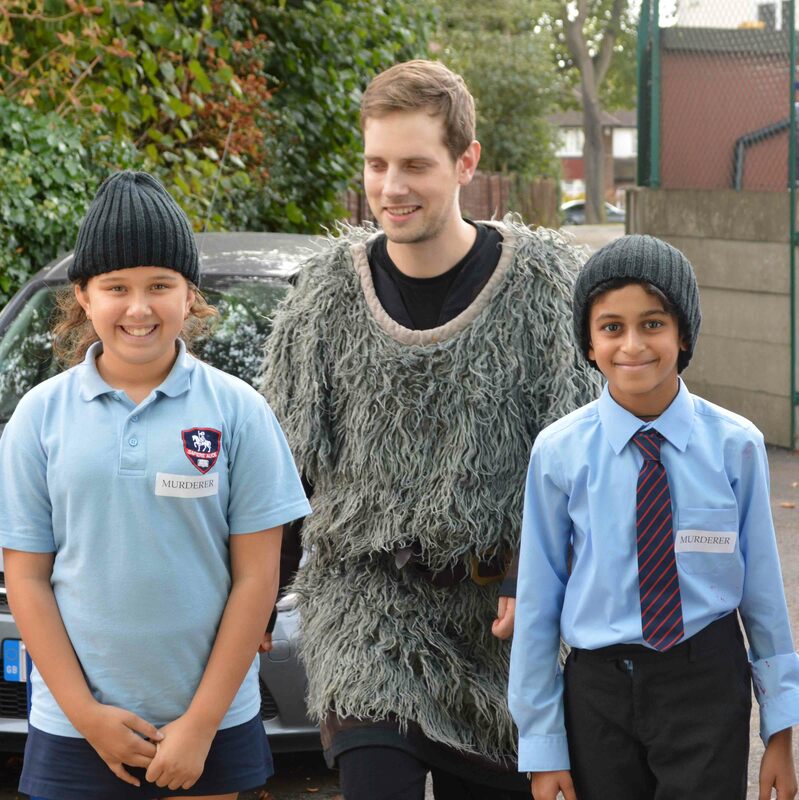 The Young Shakespeare Workshop brought the story into the 21st Century giving it a fun and modern twist that our pupils thoroughly enjoyed. What an entertaining Monday morning! 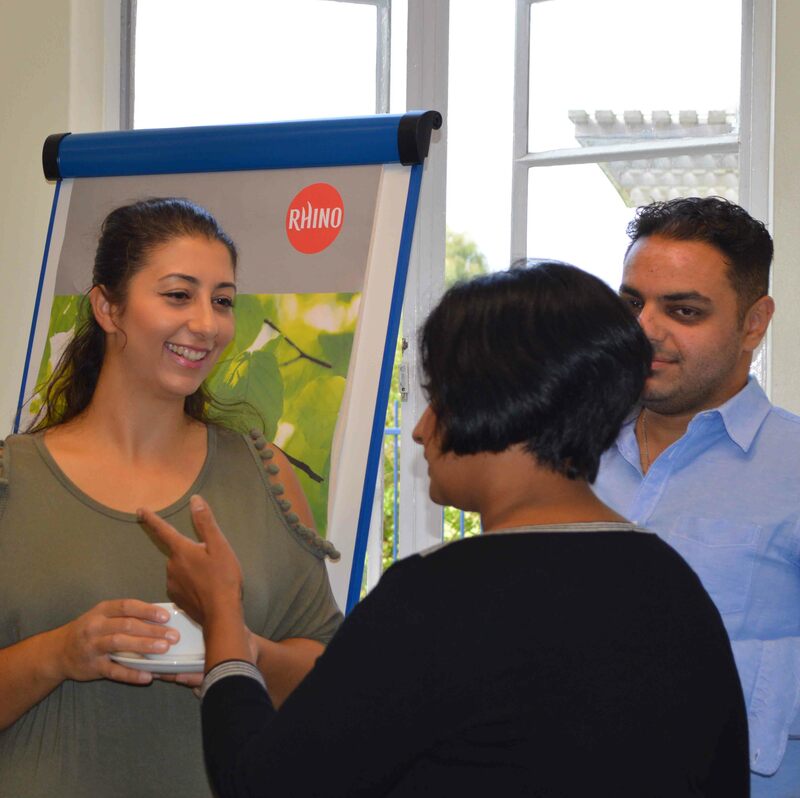 The PTA hosted a Coffee Morning at the Pre-Prep school on Friday to welcome all the new parents and introduce them to the committee. Chef Claire treated us to delicious pastries, and several parents signed up straight away. 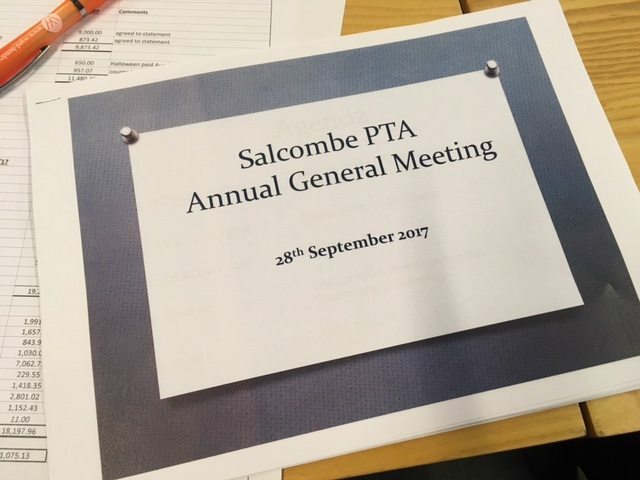 The PTA are always looking for volunteers so if you are interested, look out for their newsletters where you can find out how to join. 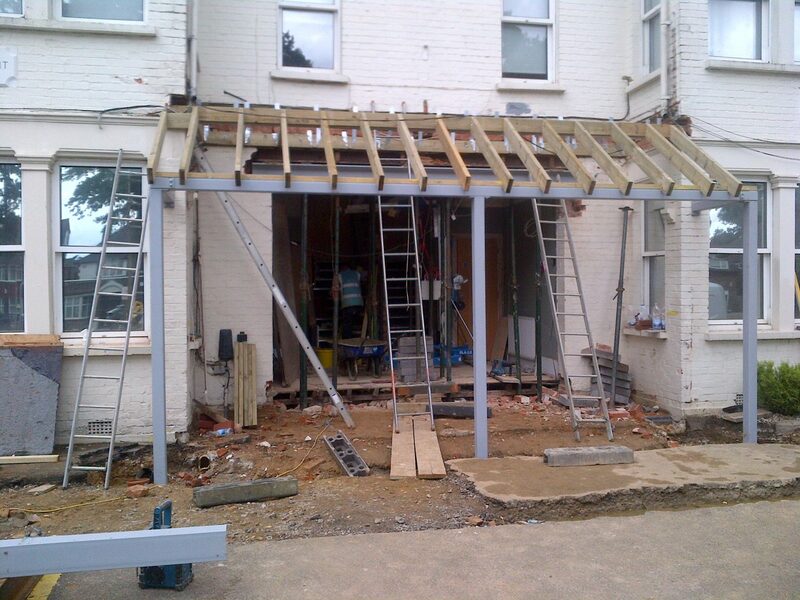 Throughout the summer, the prep school has been undergoing an amazing transformation. The whole front of the school has been knocked down, and a new façade is being put up before our very eyes. We can’t wait to see what it will look like when the students come back at the start of the Autumn Term! On Tuesday 11th July we waved goodbye to another year, another groups of Year 6 students, and some of the teaching staff. 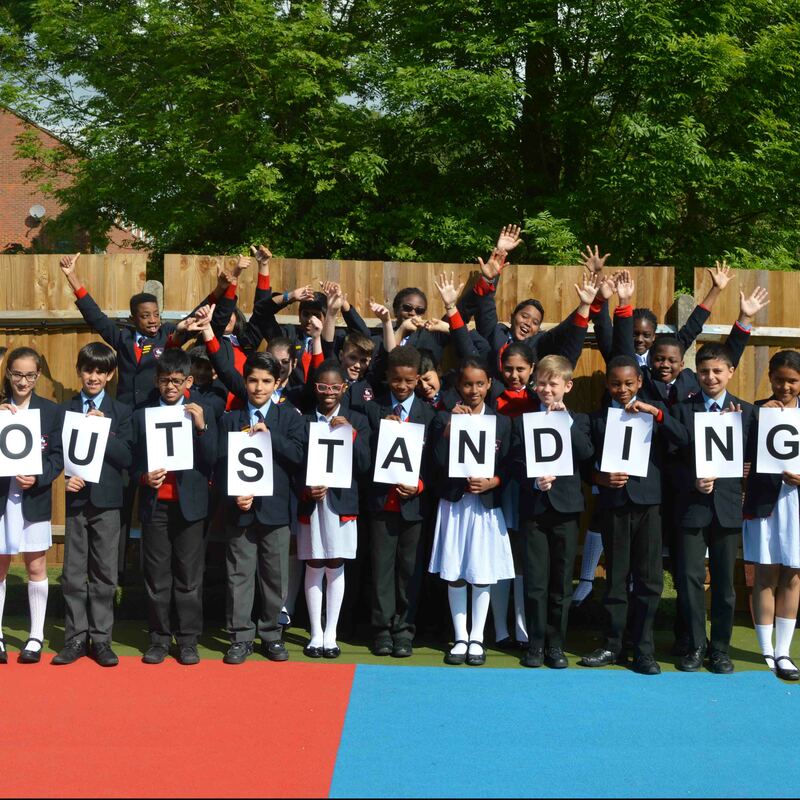 We wish all the students who are graduating all the best in their new schools, and we look forward to seeing our current Year 5s take on the responsibilities of being the oldest in the school. 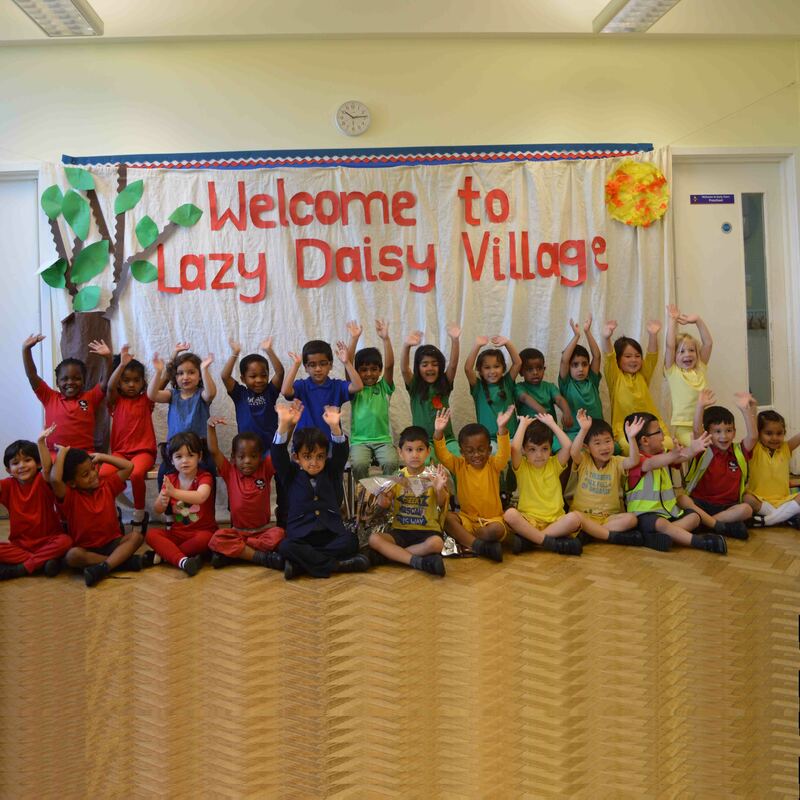 Reception performed their end of year play, There’a a Sunflower in my Supper on Friday 7 July. The children did amazing well to remember all their lines, and the singing was sensational. Well done to all the performers! 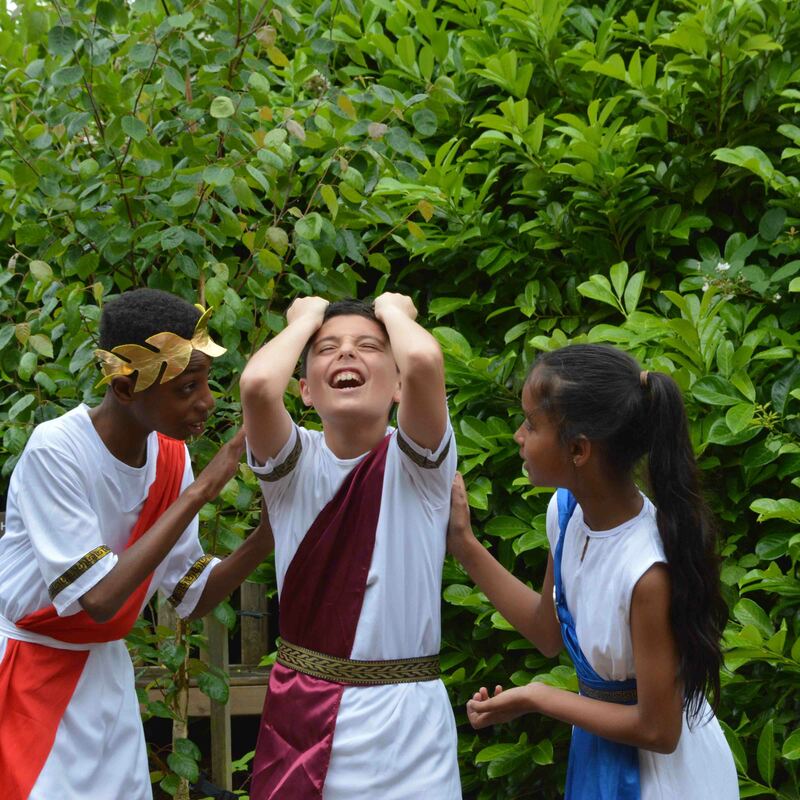 The Year 6 play is one of the most anticipated events of the summer term, and this year was no exception. 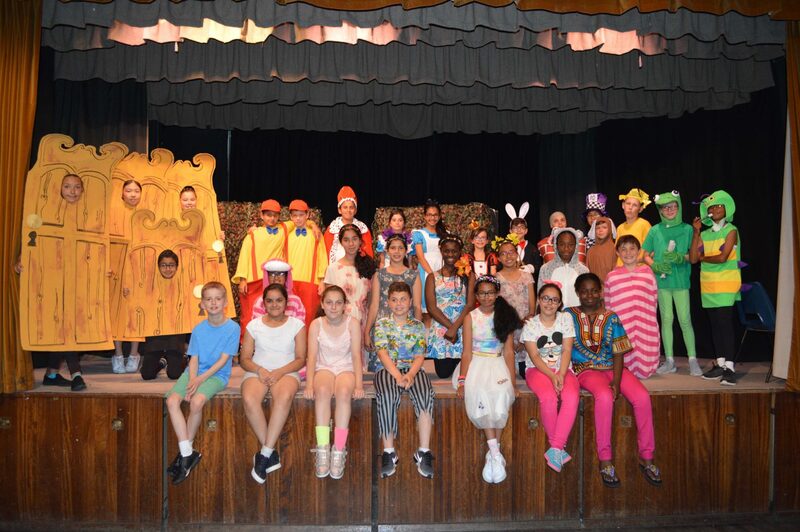 The children performed Alice in www.onderland, a funny and innovative take on the classic by Lewis Carroll tale. The whole audience was spellbound, that is, when they weren’t in fits of laughter of course! 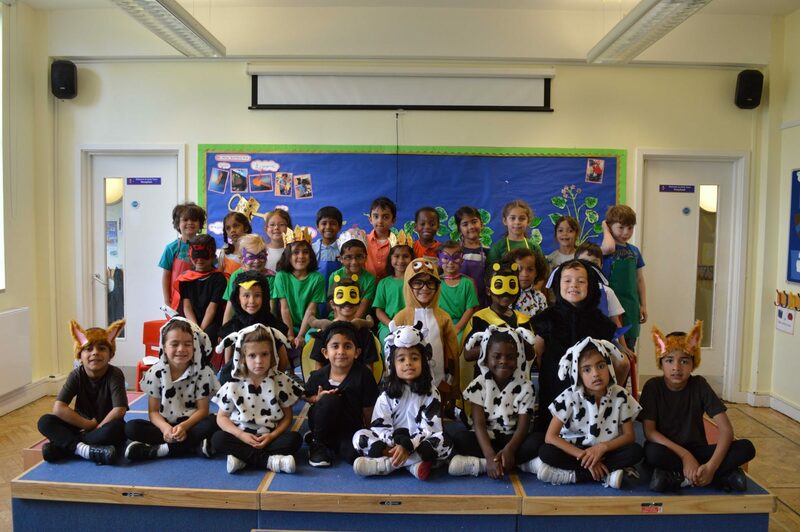 On the morning of 6th July, Preschool parents were treated to a wonderful rendition of The Musicians of Bremen by our youngest students. 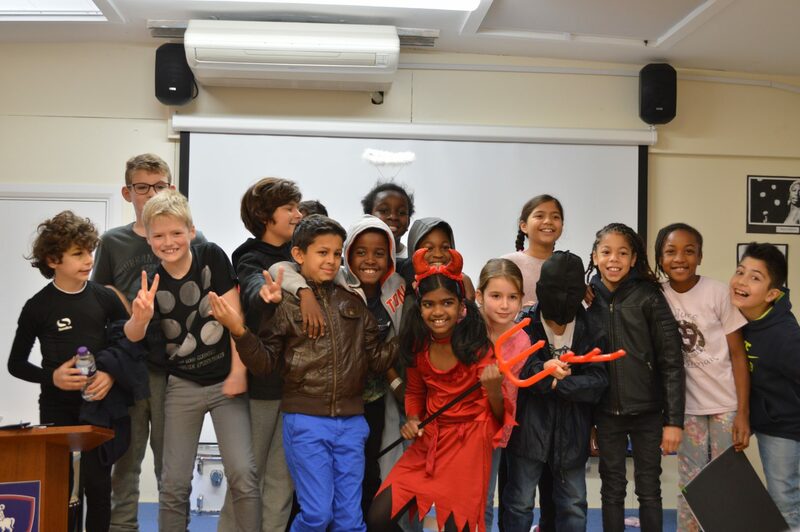 The play was a great success and the children preformed their lines amazingly. 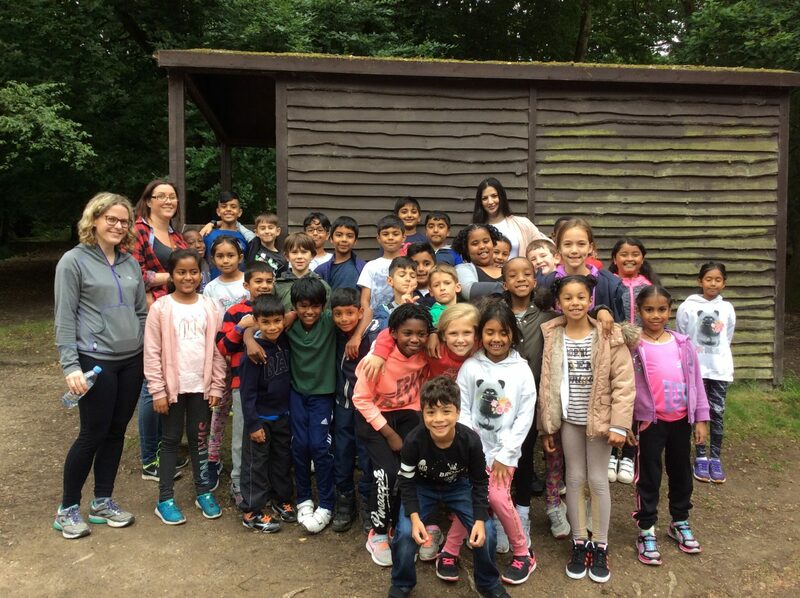 Year 3 went away on their first residential trip at the end of June. Staying away from their parents for the first time was very exciting, and everyone had a wonderful time. Thank you to Miss Bailey, Miss Costa and Mrs Davies who accompanied the children. 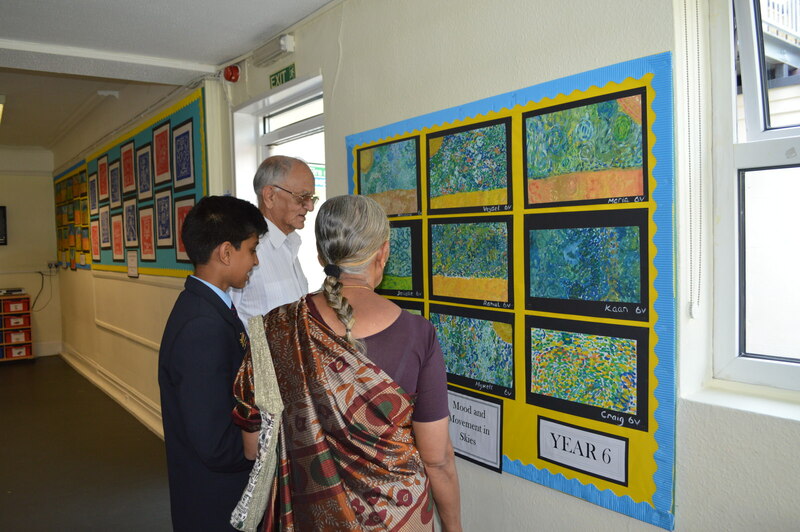 The Prep School students played host to their grandparents who visited to view the second annual art exhibition which was launched on 23rd June. We had an astounding array of beautiful artworks from all the Prep children and their grandparents were very impressed. Every one as Salcombe took part in the Race for Life event in June, and the children and staff raised an amazing £4,160 for Cancer Research UK. Thank you to Miss Wallbank for organising this fantastic day. 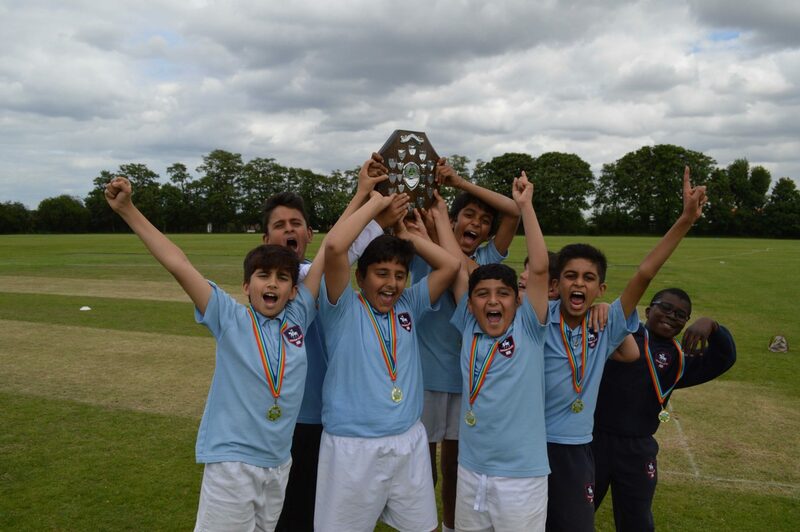 On 12th June our Cricket team travelled to the borough athletics to defend their crown. After a tough day of matches they were victorious, and brought the trophy home once again. Well done Salcombe cricketers! 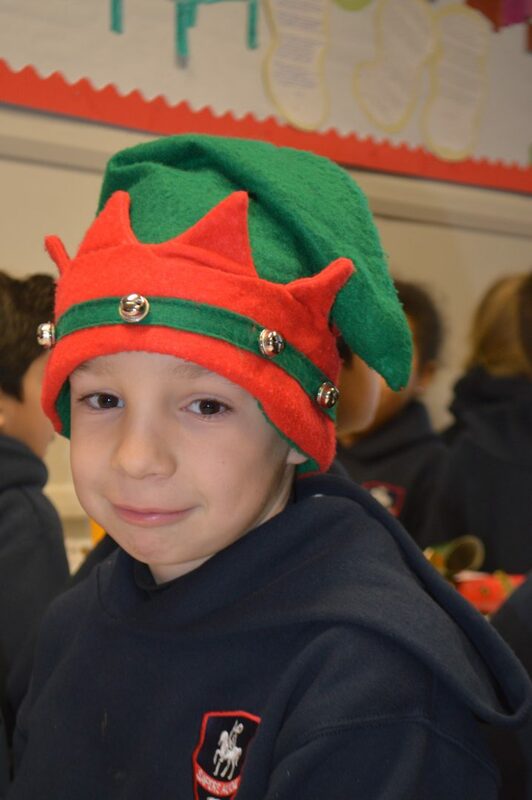 On the last day of term the children enjoyed a festive fun day, with Christmas games and films. Chef Steve cooked a delicious Christmas lunch which everyone enjoyed with crackers. The teachers and staff were served by Year 6. Mrs Moss and Mrs Konstantinidou won the best Christmas jumper competition. Prechool performed their Christmas play - A Miracle in Town this morning. 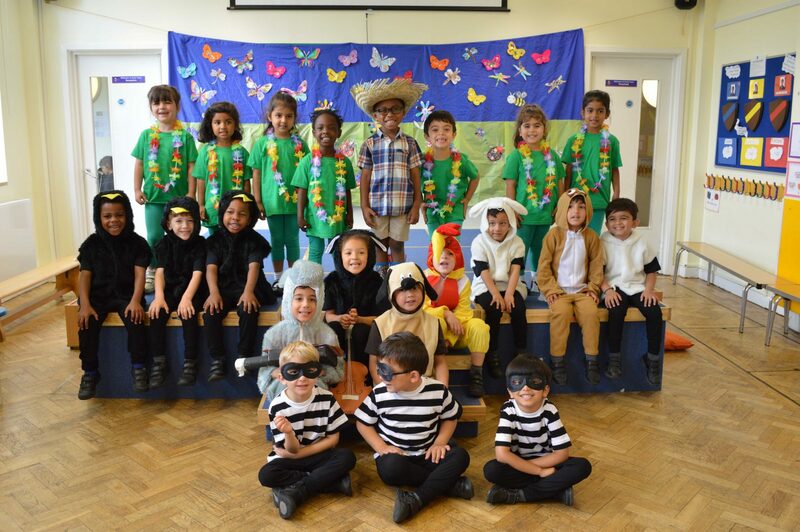 The children worked very hard to learn all their lines and the songs, and they all acted beautifully. 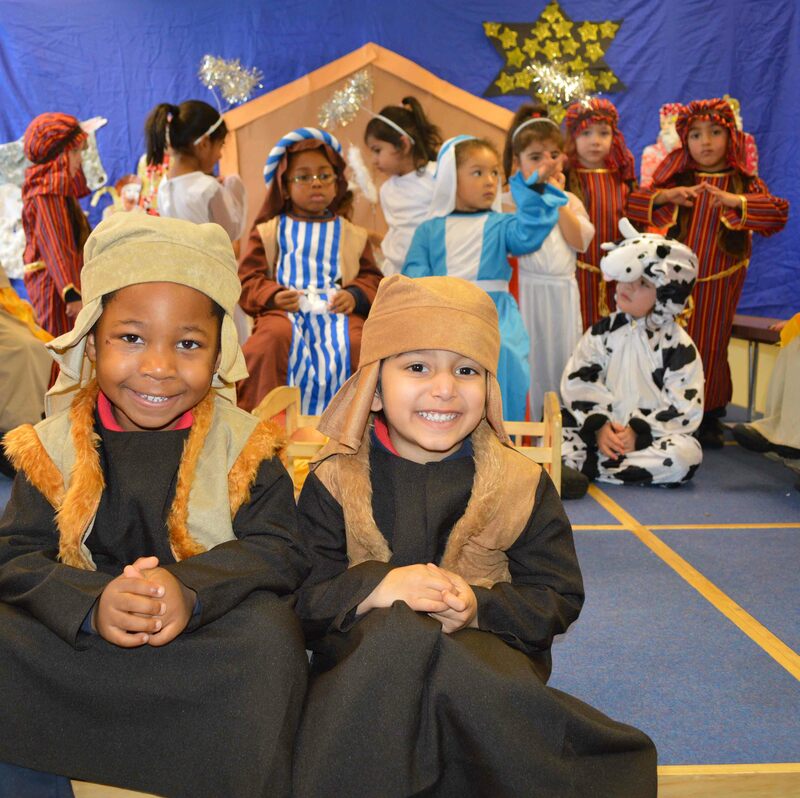 Today we were treated to a wonderful rendition of The Sleepy Shepherd Christmas play by Reception. There were great performances from all, particularly Mary, who added a touch of realism to playing a mother, by thoroughly cleaning Baby Jesus' head throughout the play. 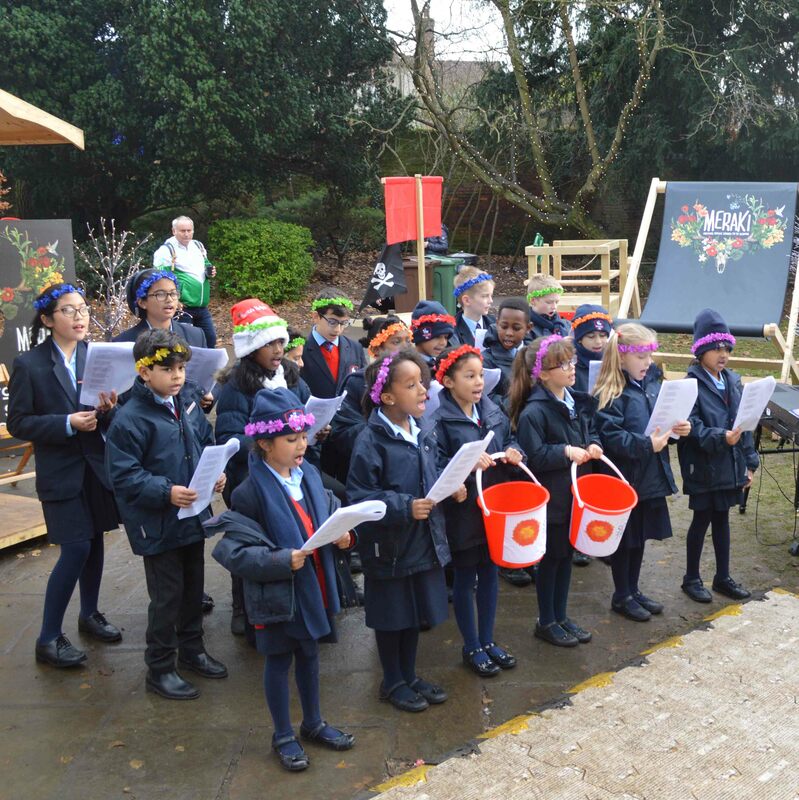 Miss Andrews took the choir on a trip to St Albans again this year, to perform at the Christmas Market. The children sang beautifully and collected lots of money for the Sepsis Trust. 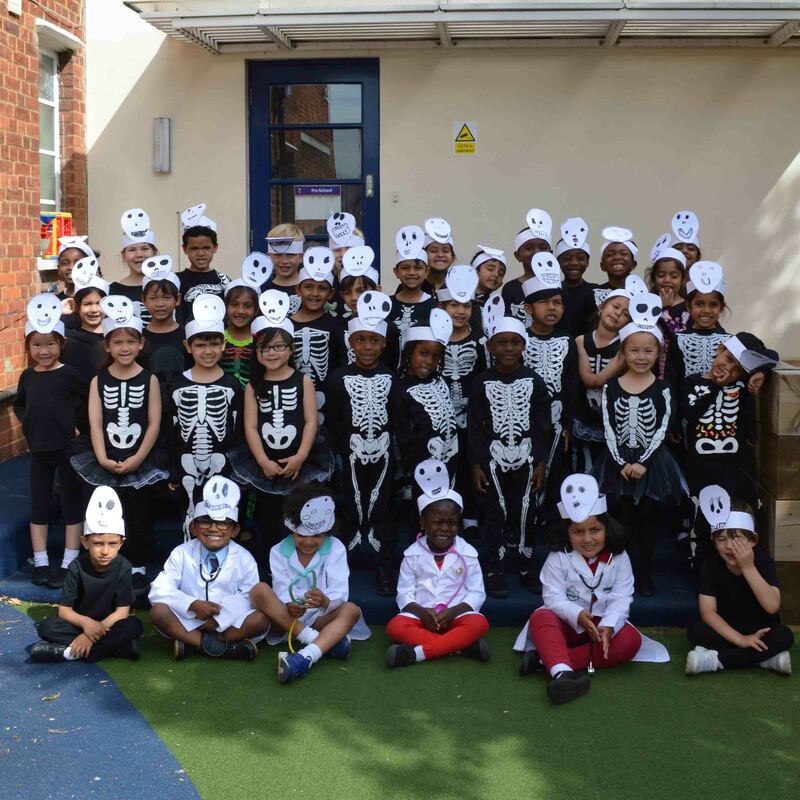 Reception put on a wonderful performance of Mr Skellybones, a humorous musical based on the wonders of the human body and hosted by Mister Skellybones, Captain Heart, Doctor Brain and friends. The costumes were all fantastic - we've never seen so many skellingtons in one place! 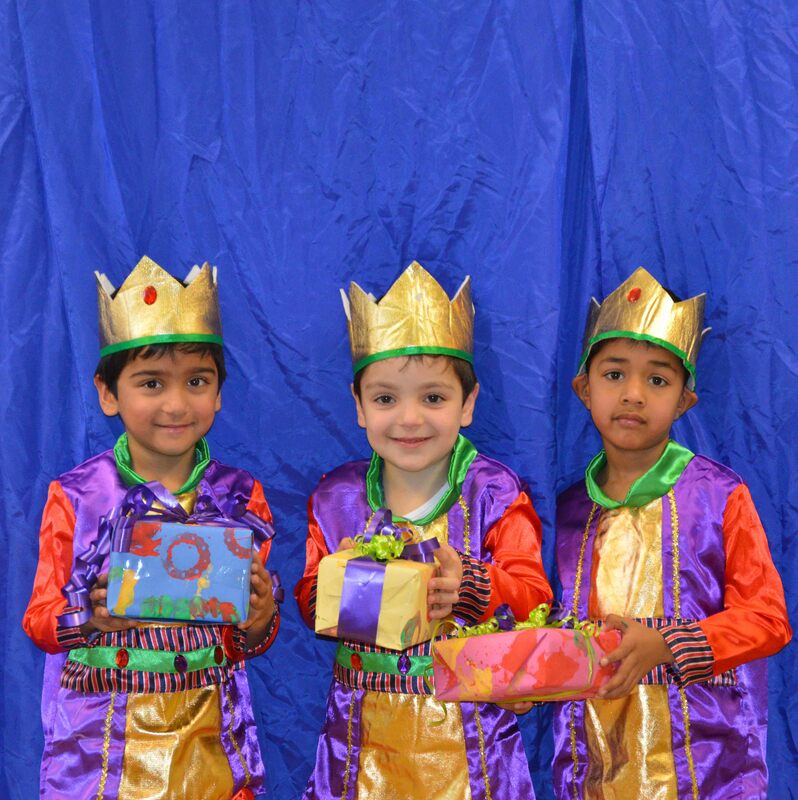 Preschool performed their End of Year play entitled The Little Muncher. They spoke and sang beautifully, and taught us all a very valuable lesson about throwing rubbish in the bin, and keeping everything around you tidy. Well done Preschool! 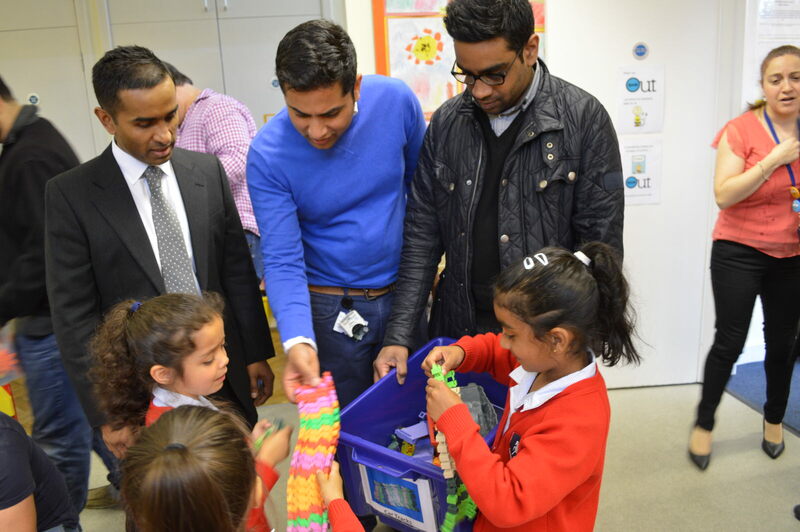 Today Preschool and Reception invited their Daddies to school to play. They recited lovely poems, presented gifts to their Dads and played with them. It was a lovely morning. 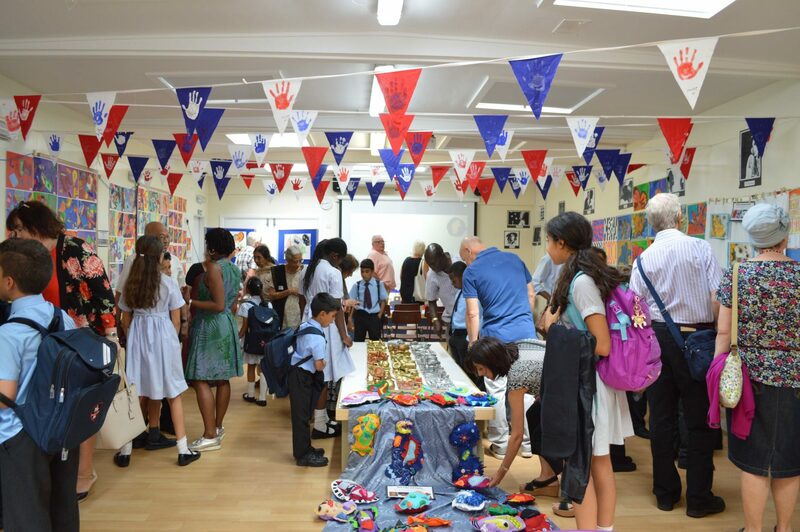 The Prep school launched their centenary art exhibition today by inviting grandparents to view thier artworks, and have a sport of afternoon tea. 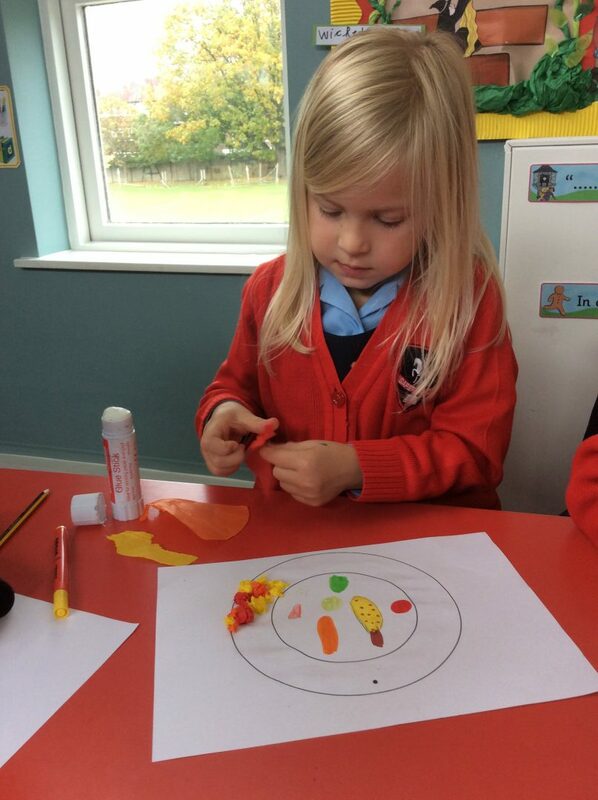 The grandparents were all very impressed with the standard of work, and really enjoyed the delicious treats. 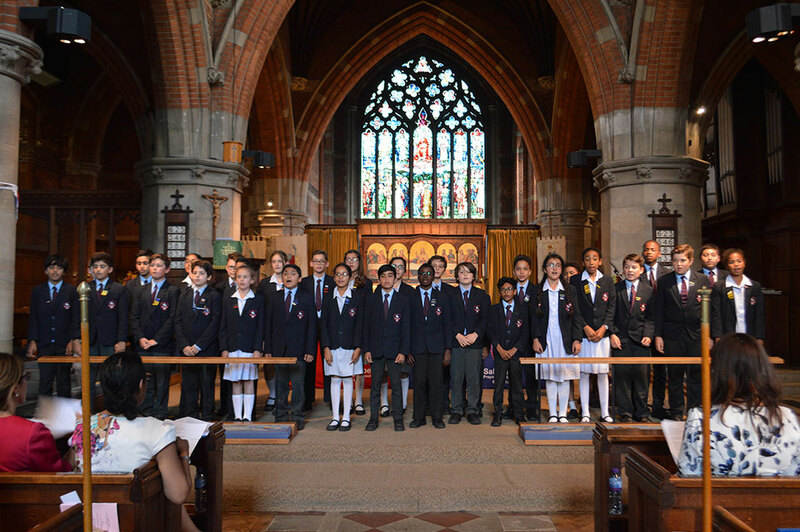 Year 5 and 6 also took part in a summer concert where they showed off all that they had learnt throughout the year. 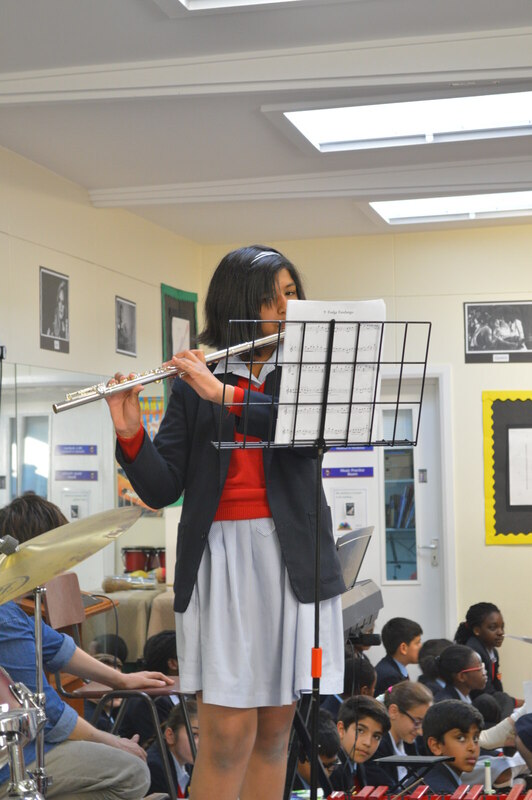 Parents and teachers were treated to some beautiful group and individual performances. 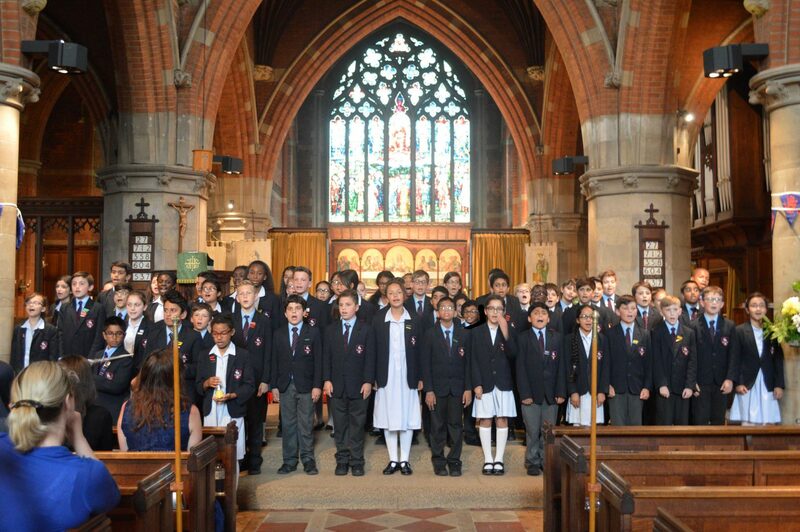 Years 3 and 4 performed beautifully at the inaugural summer concert. They sang together and there were some lovely solo performances on a variety of instruments. 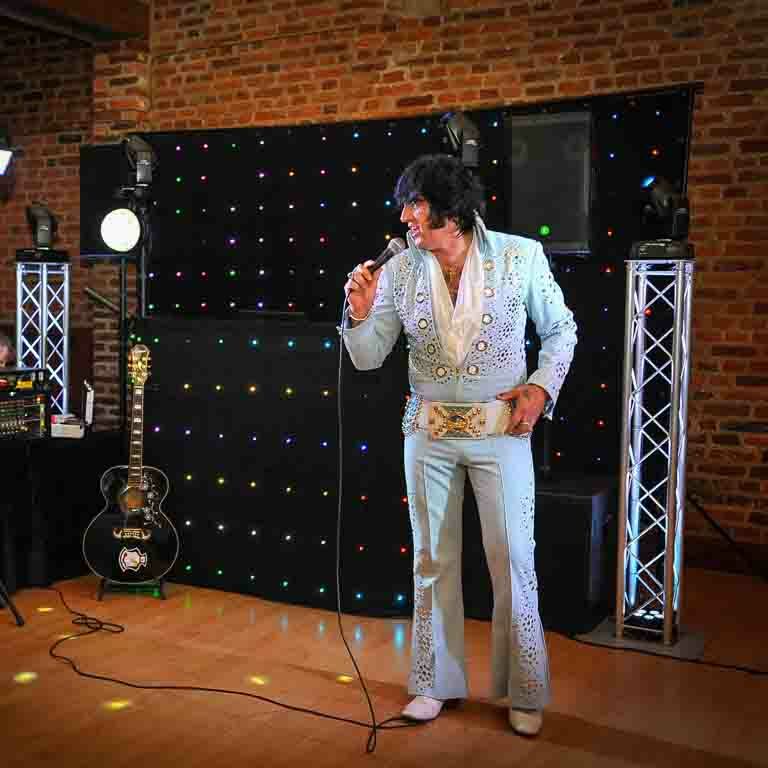 Our guests enjoyed the concert immensely.